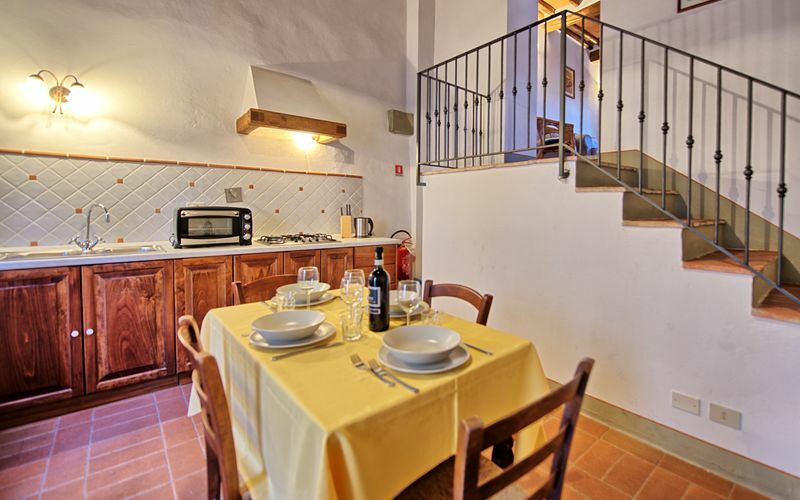 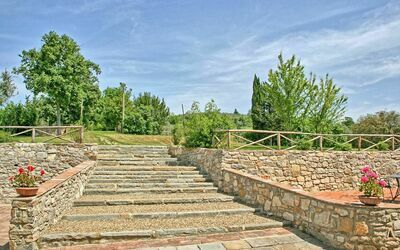 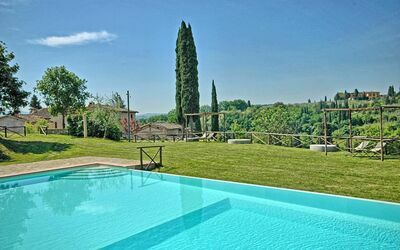 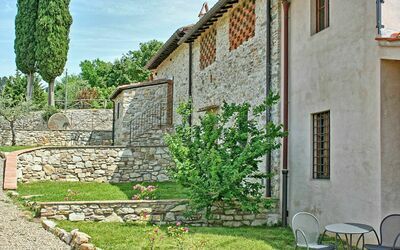 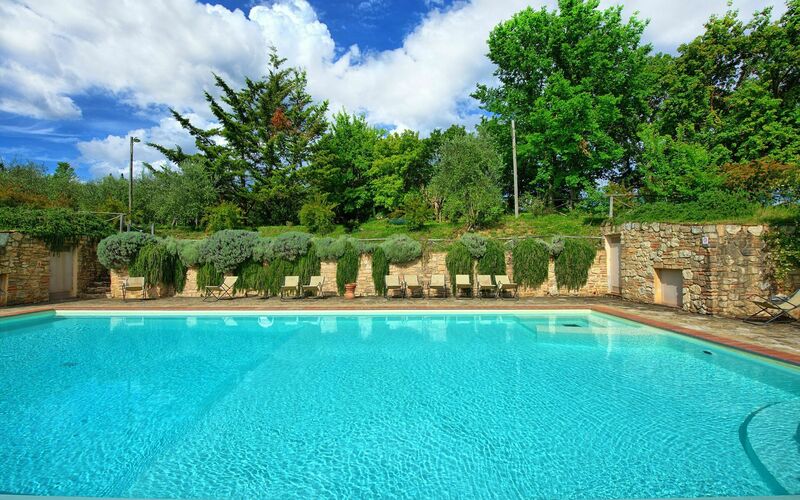 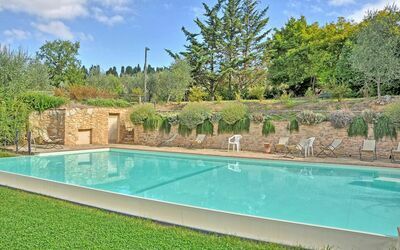 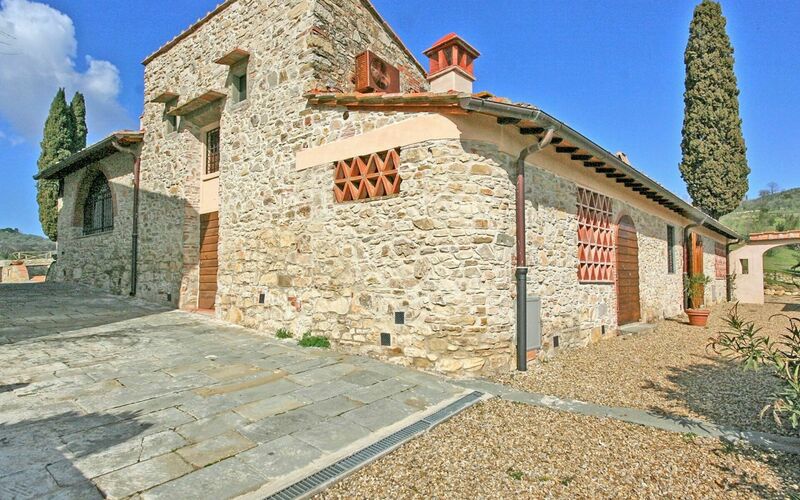 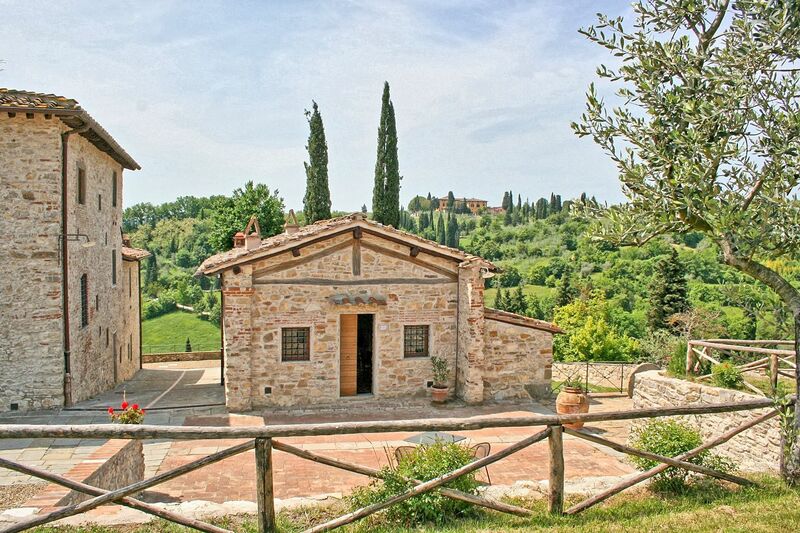 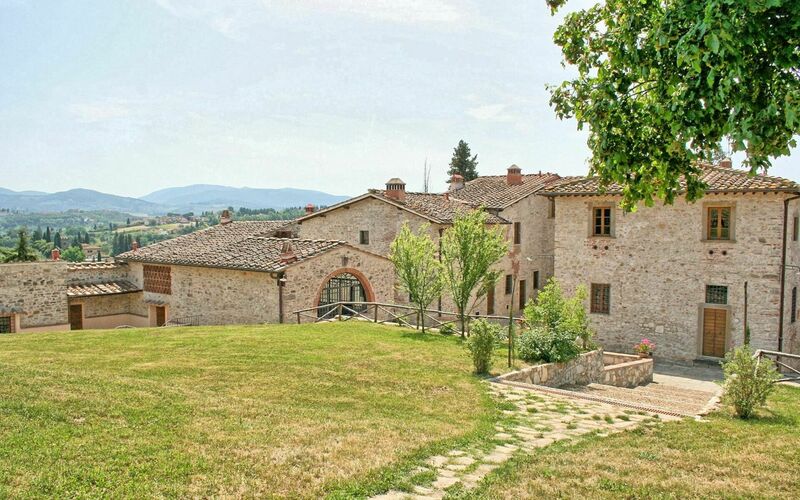 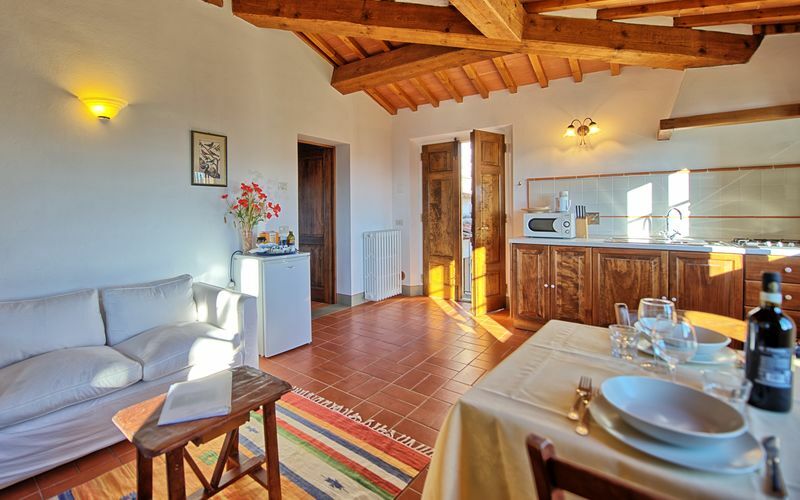 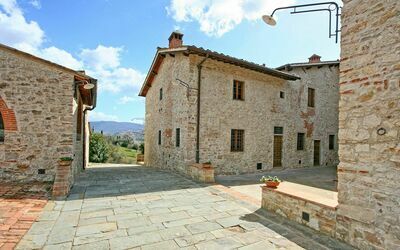 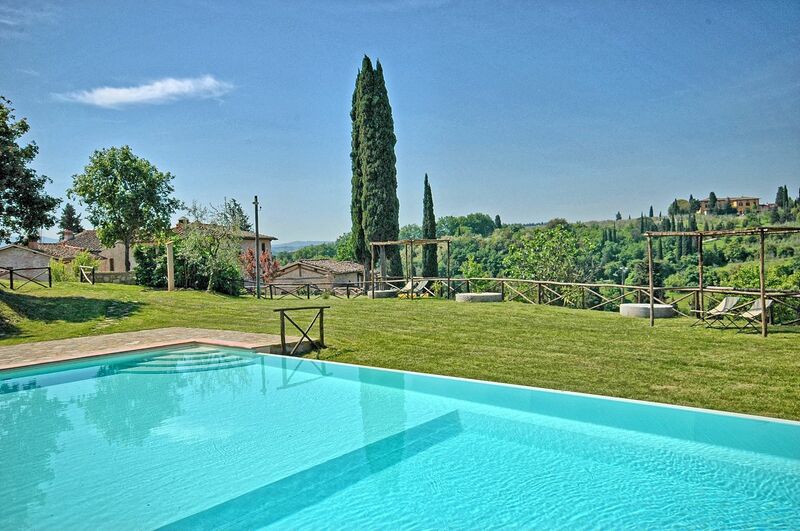 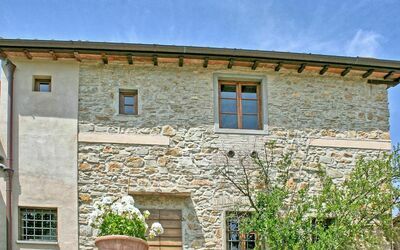 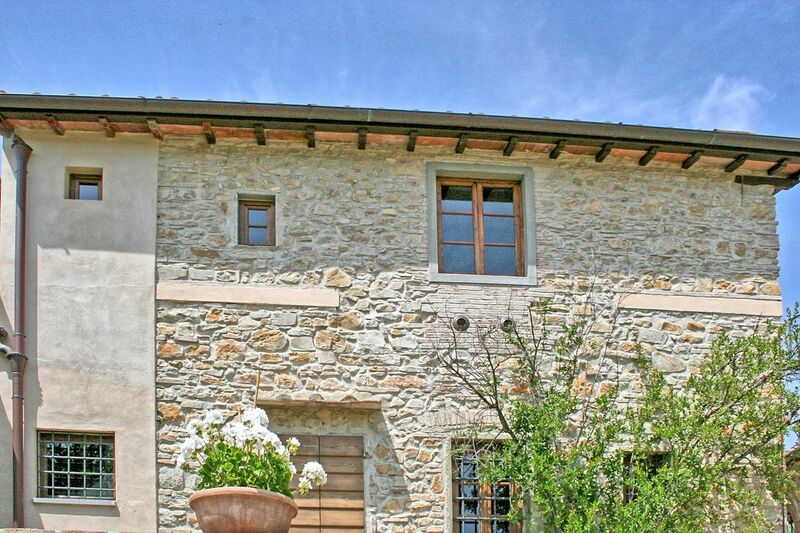 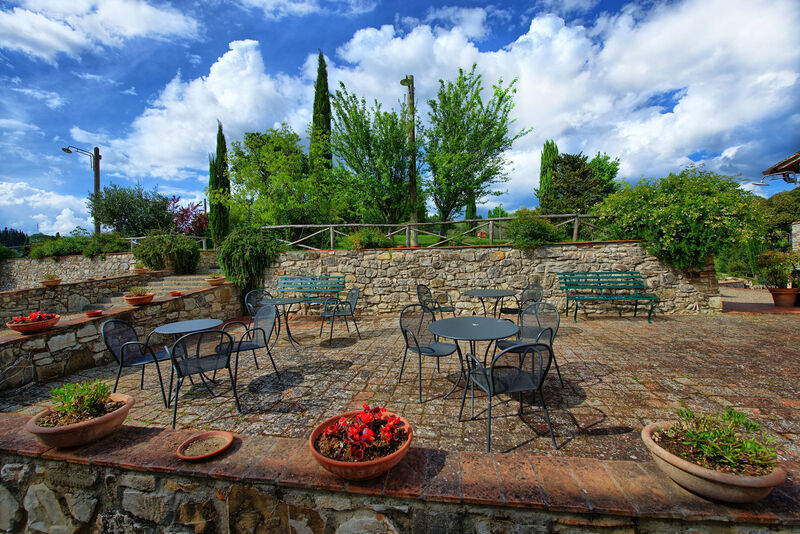 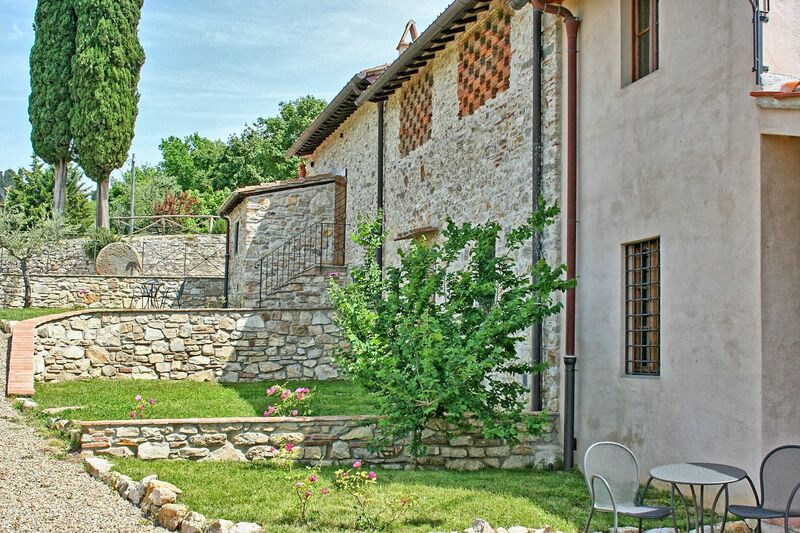 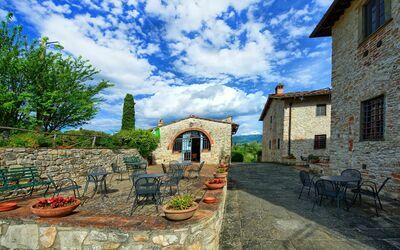 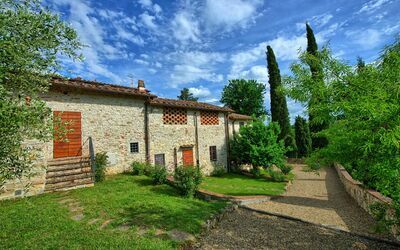 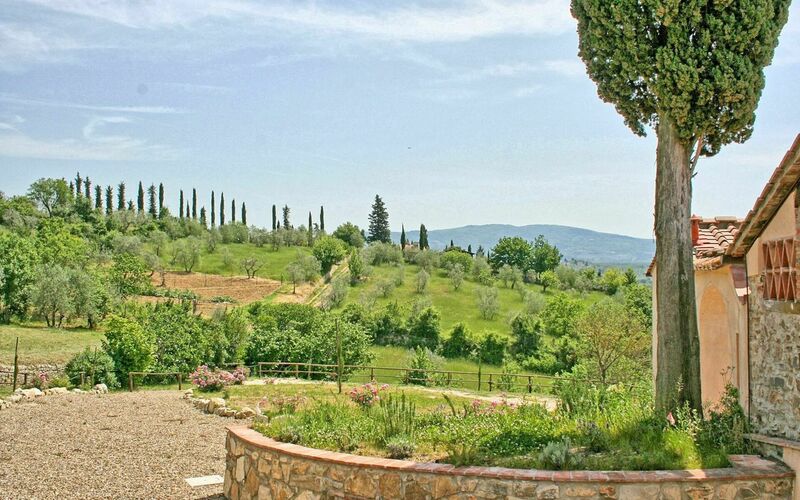 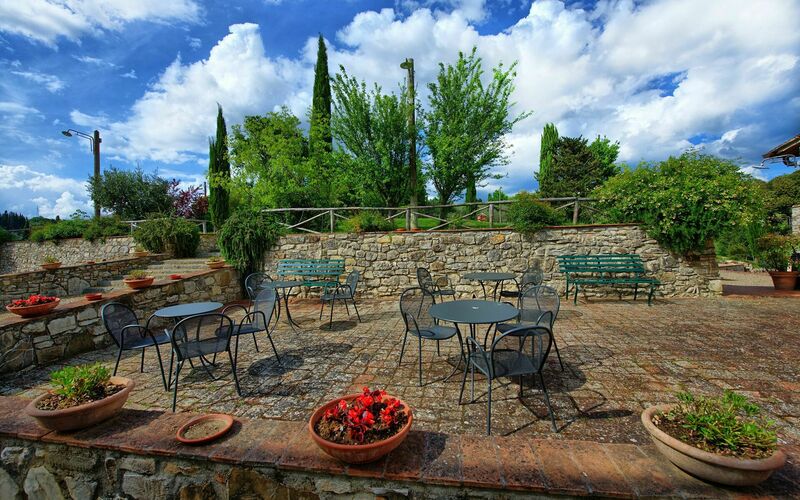 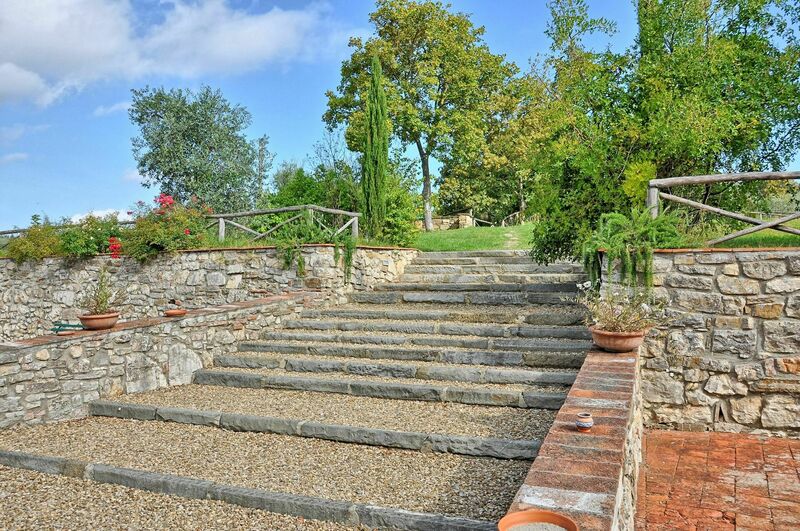 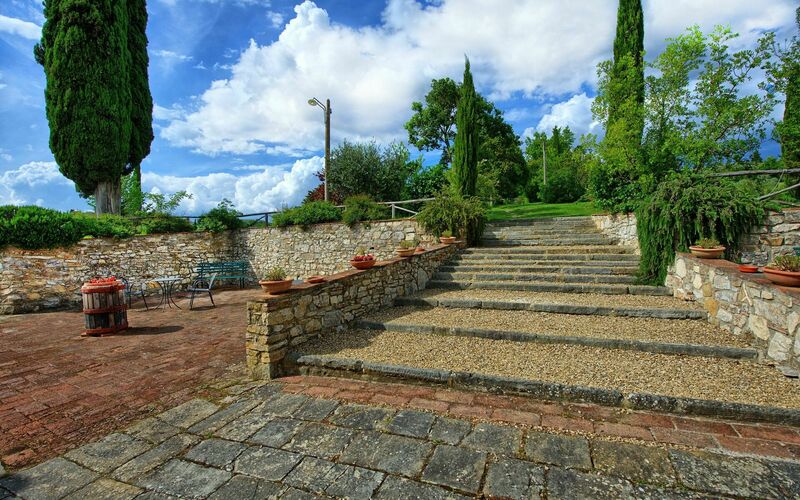 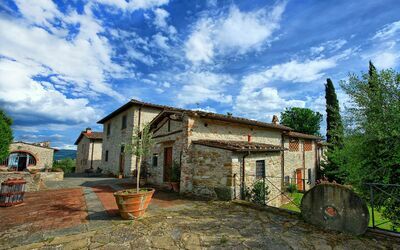 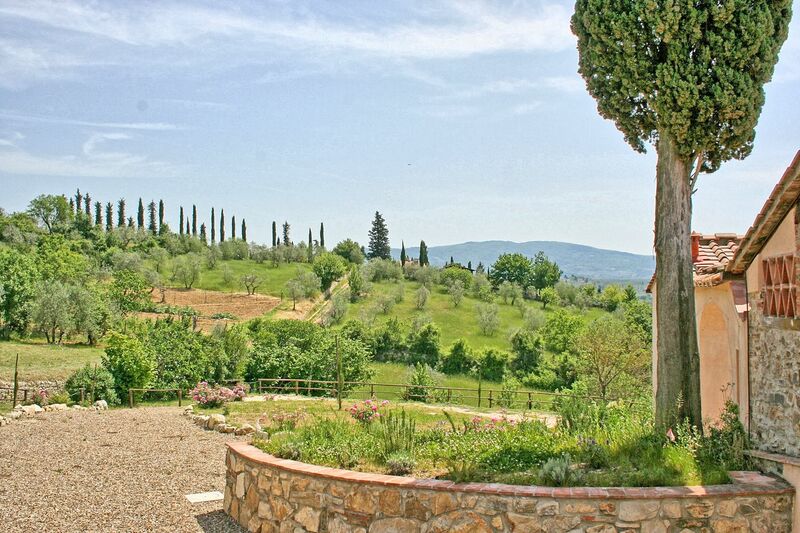 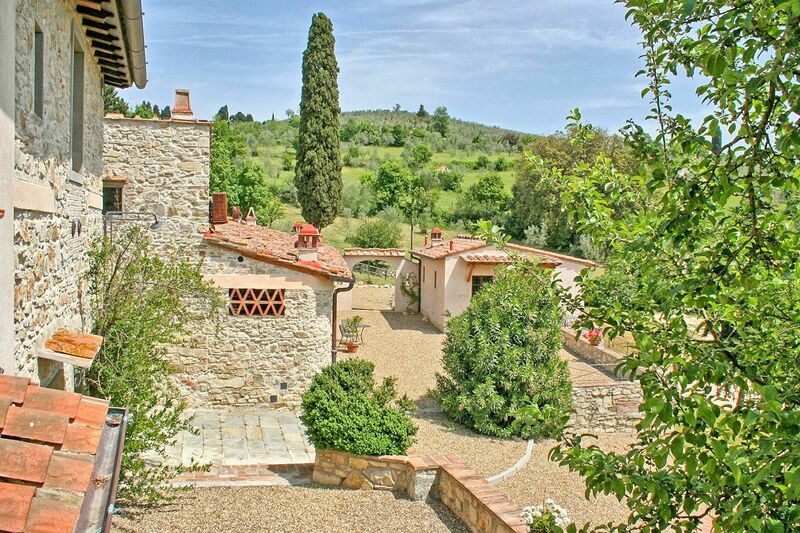 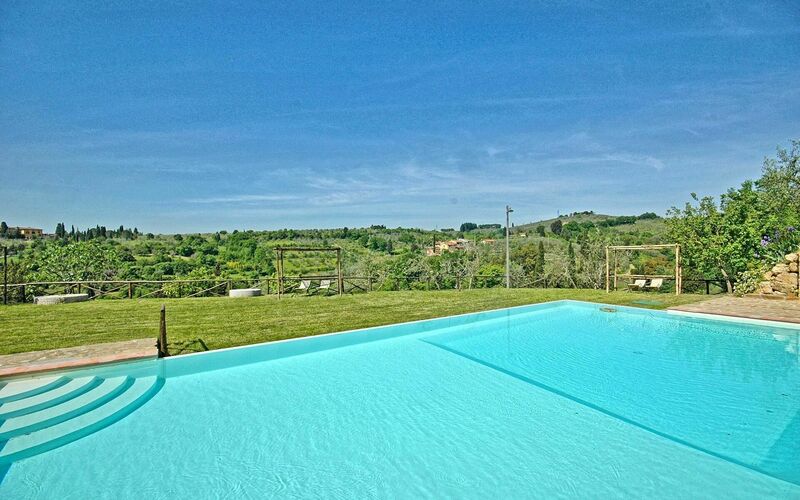 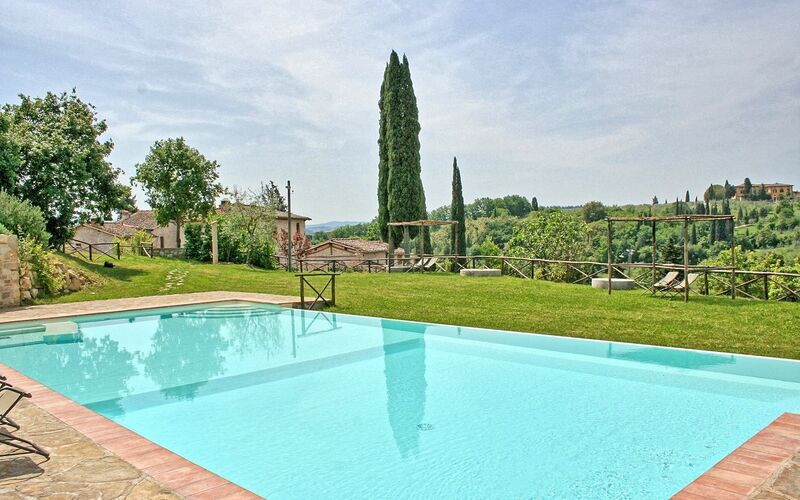 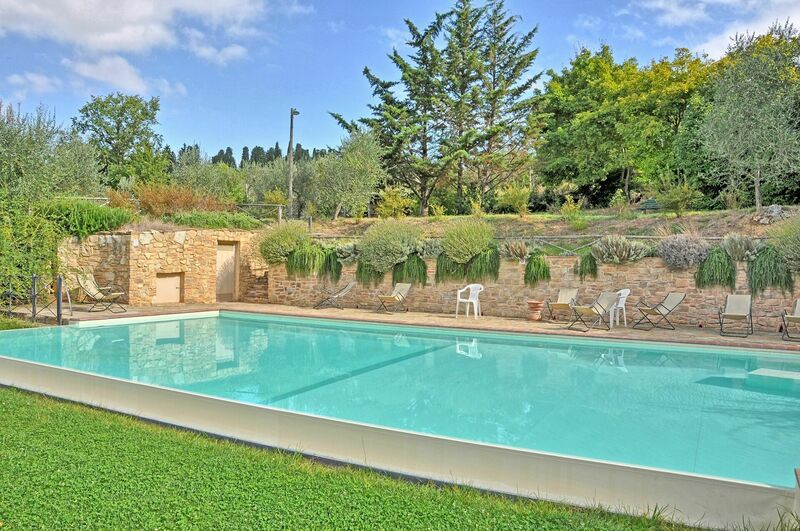 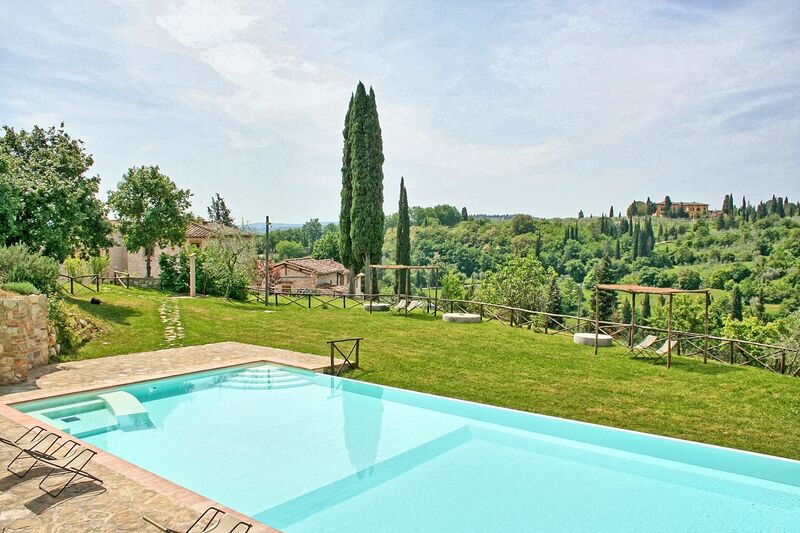 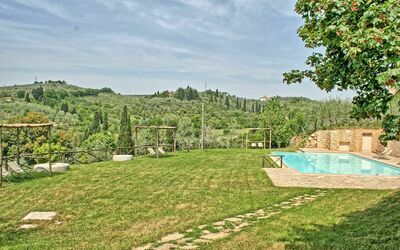 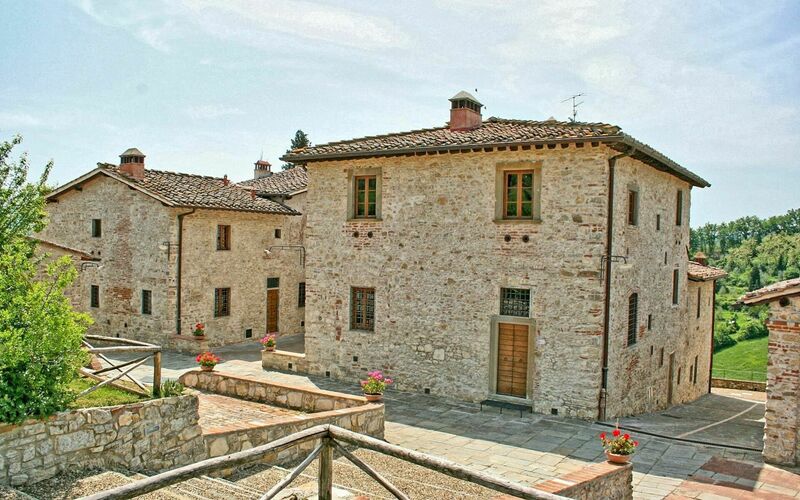 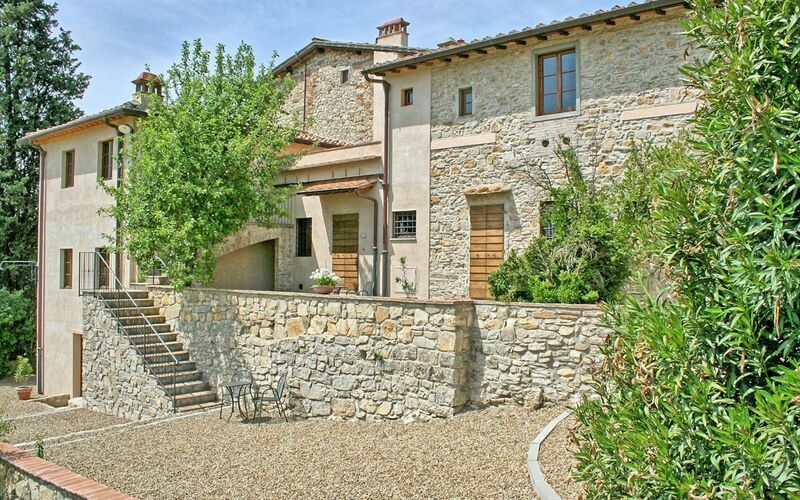 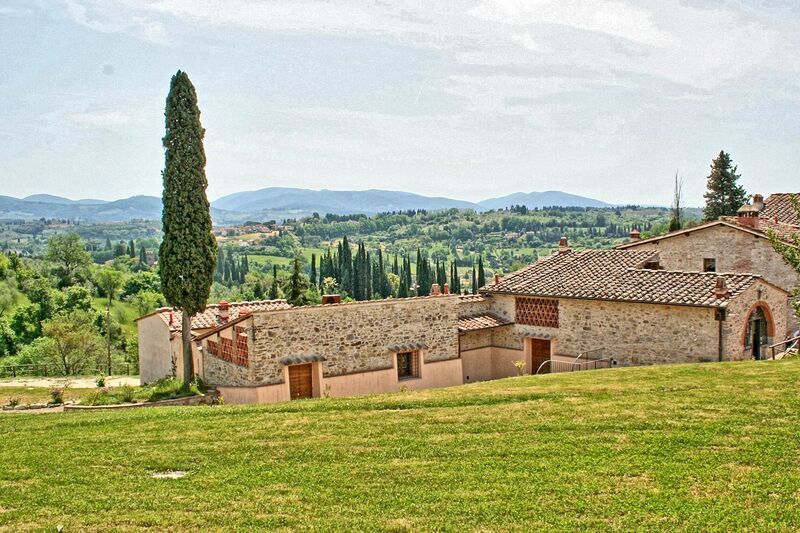 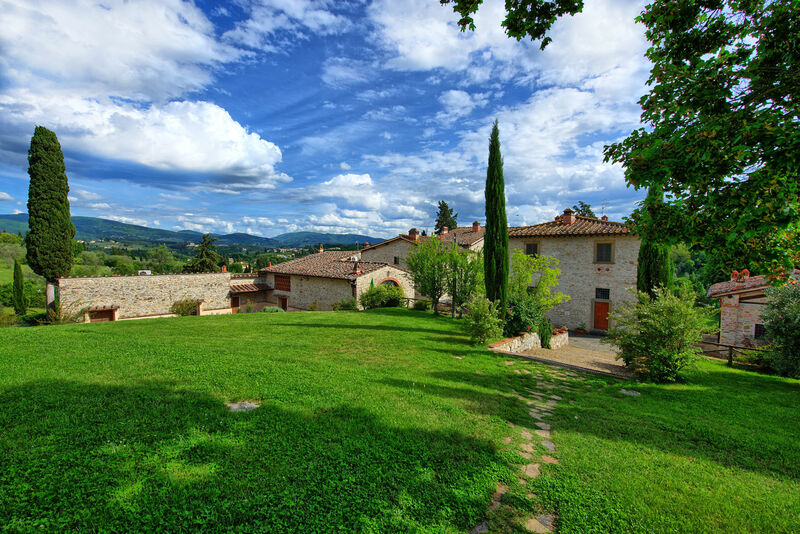 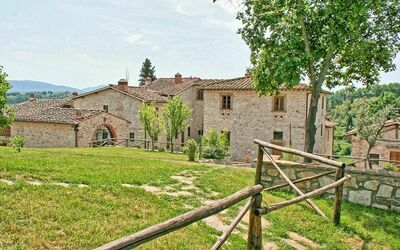 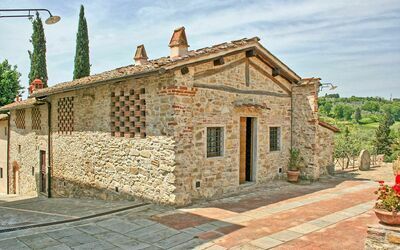 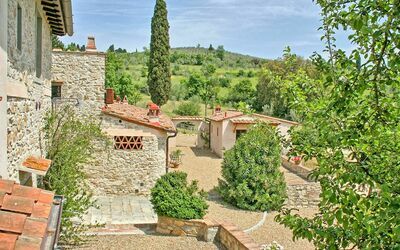 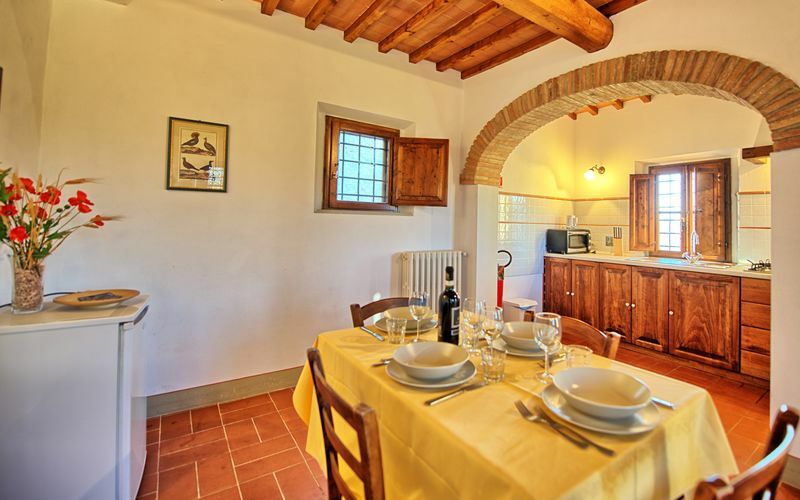 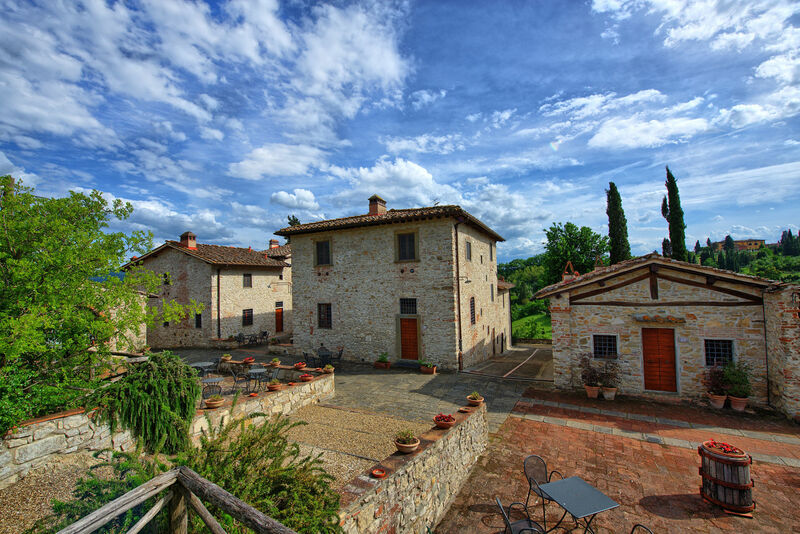 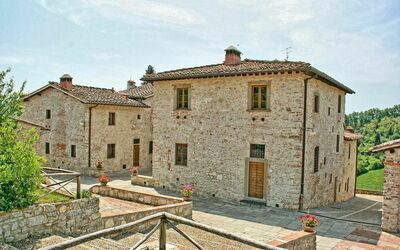 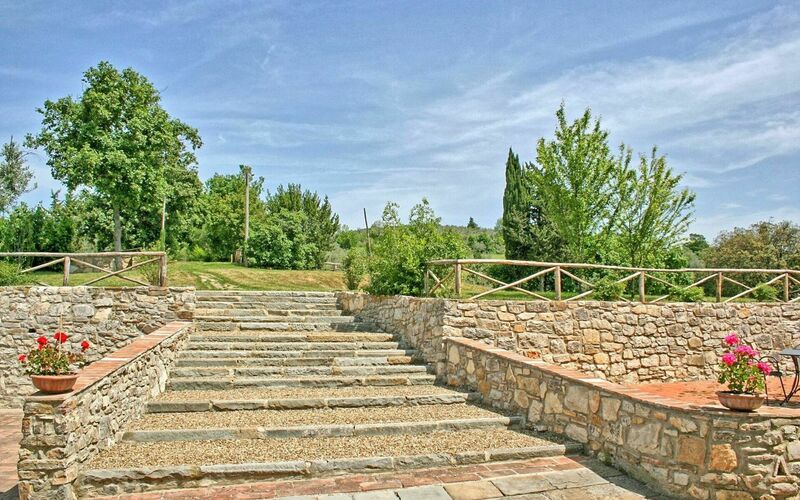 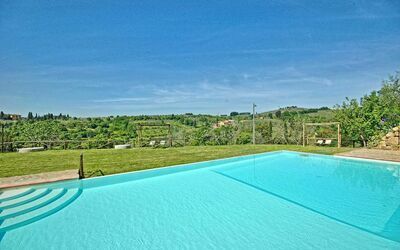 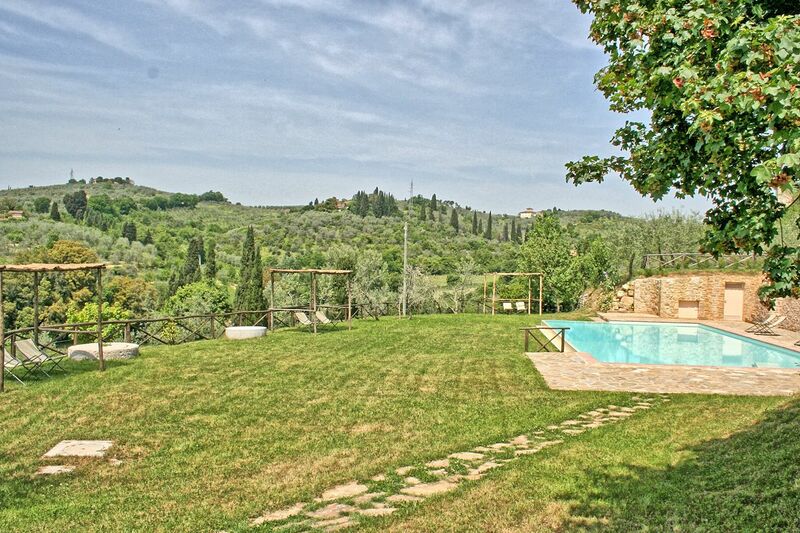 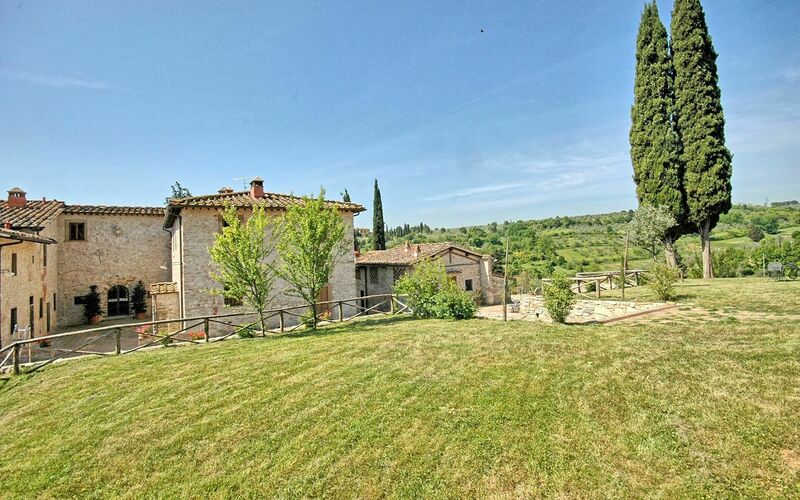 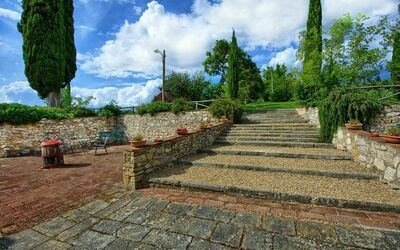 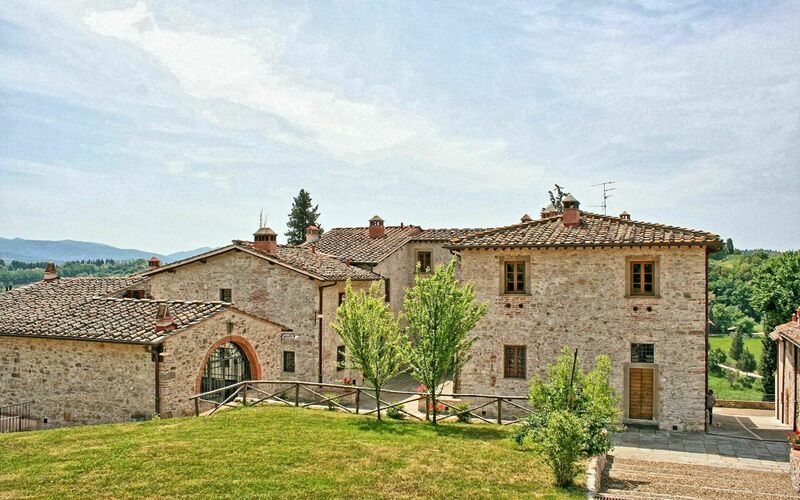 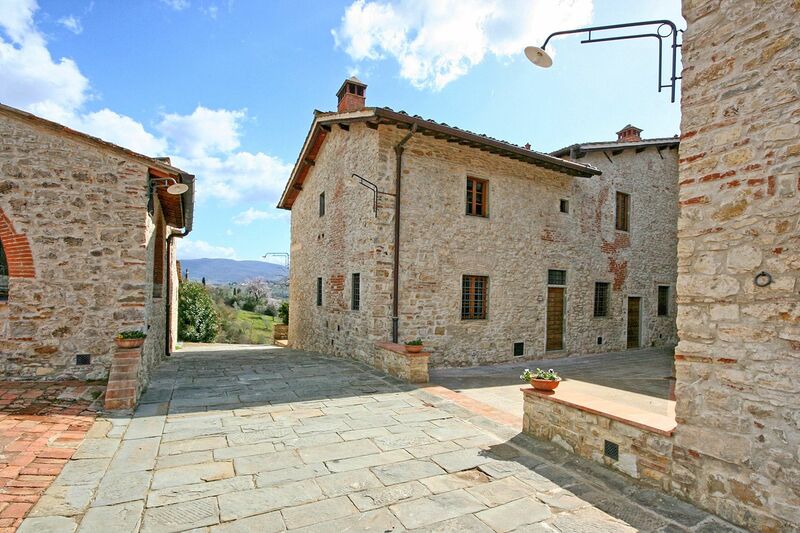 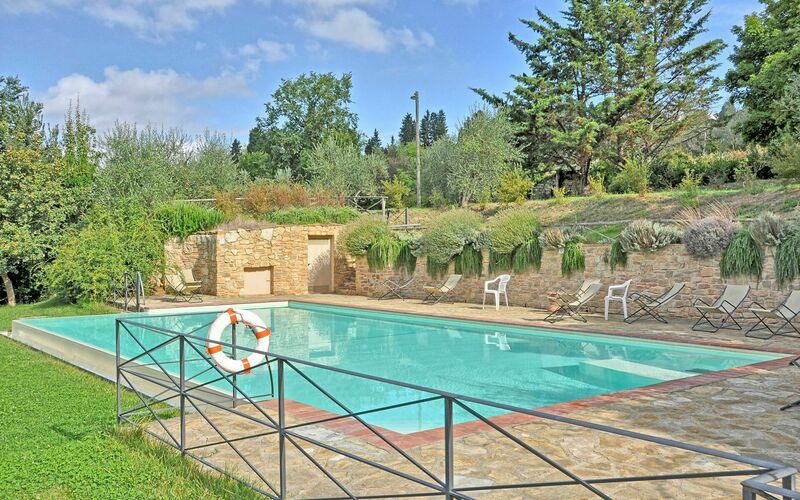 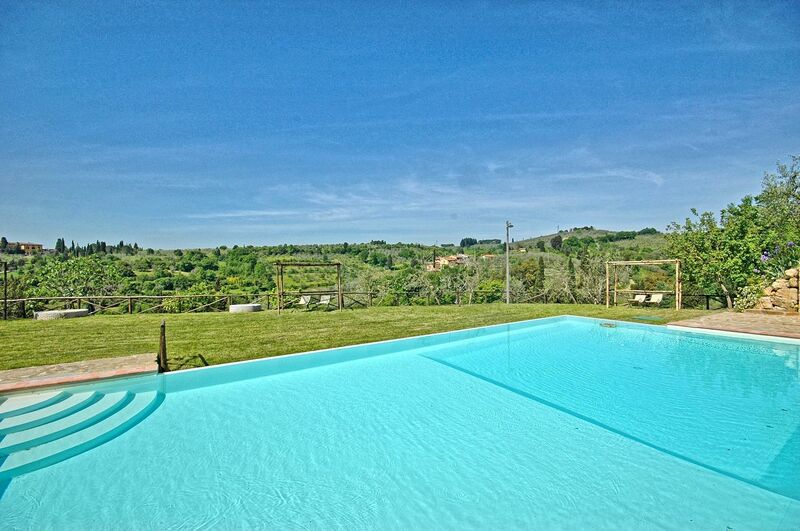 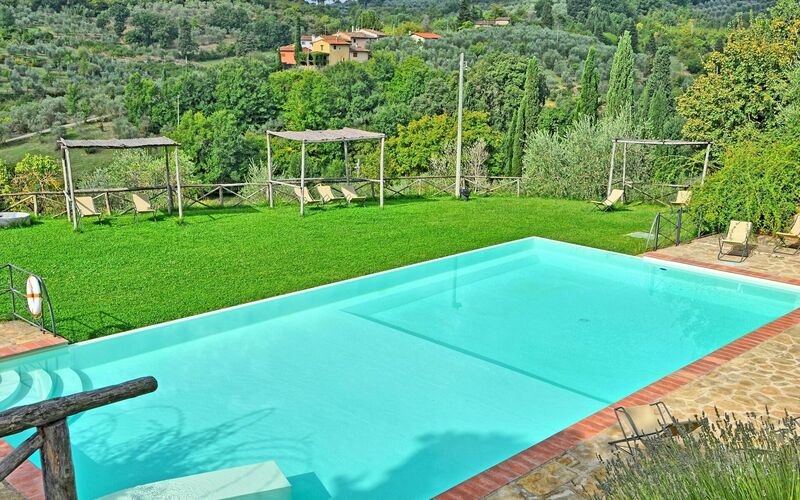 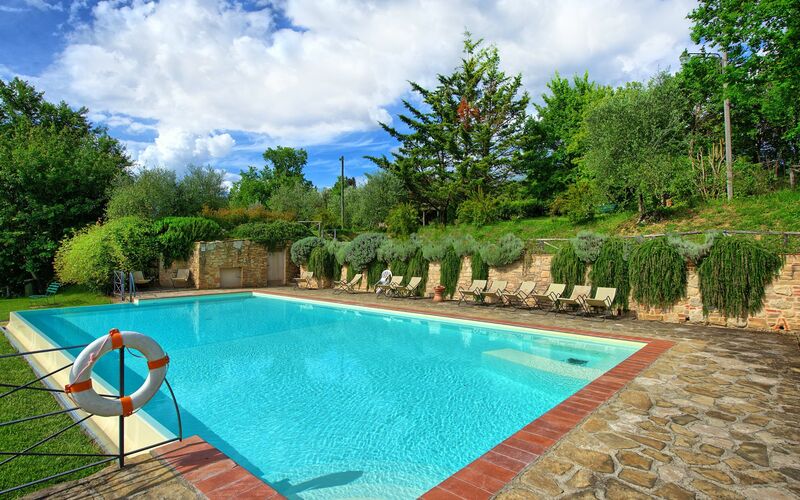 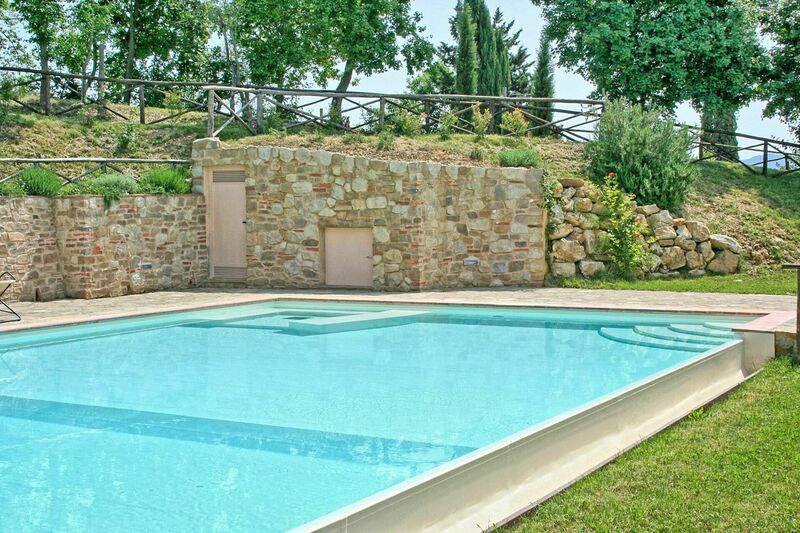 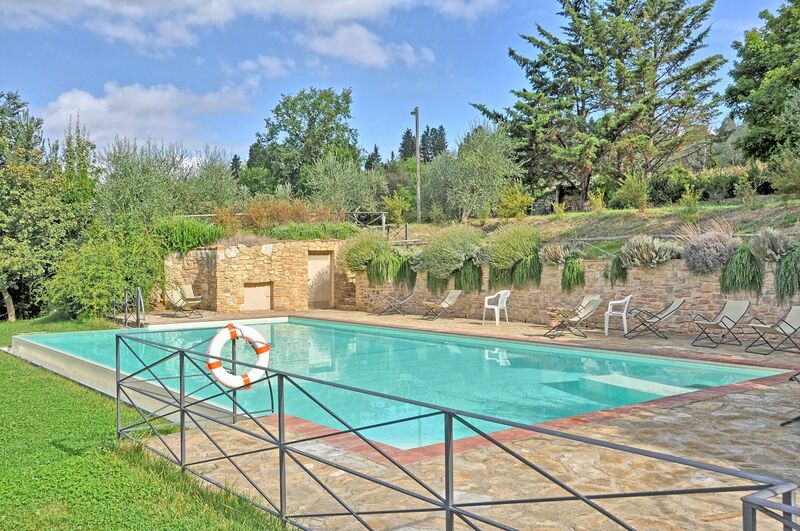 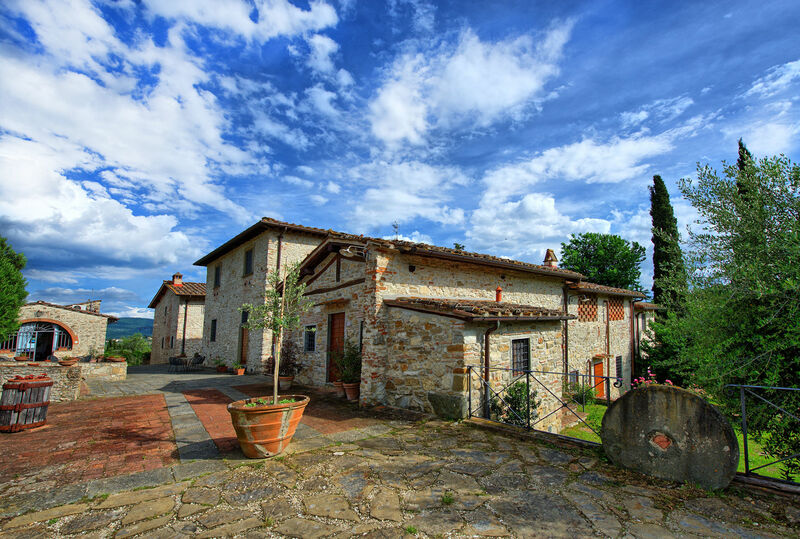 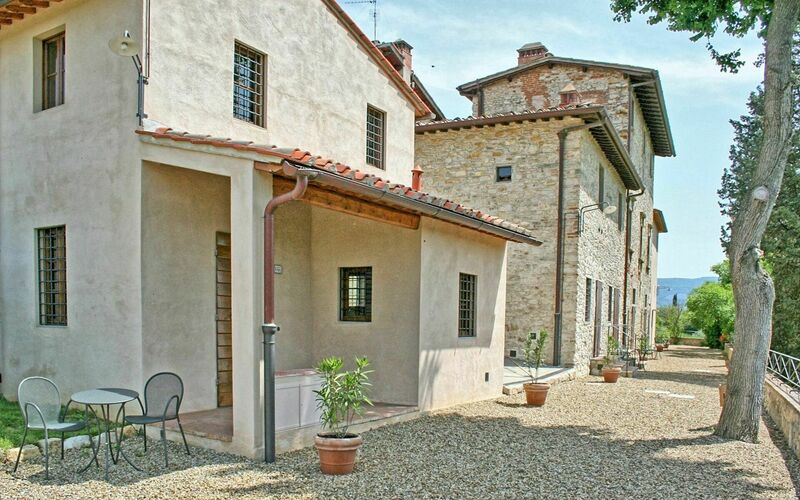 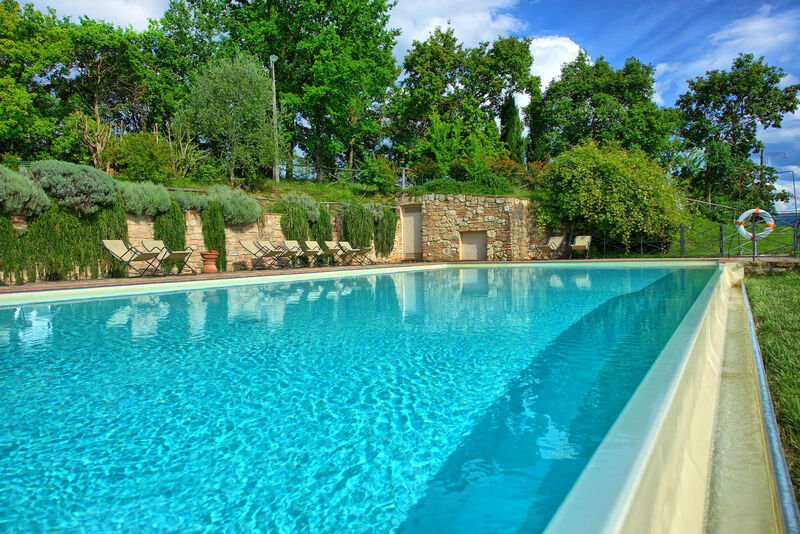 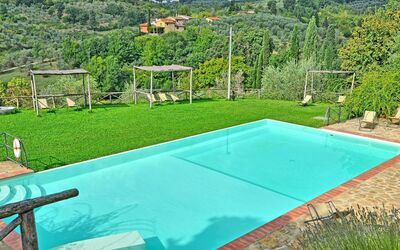 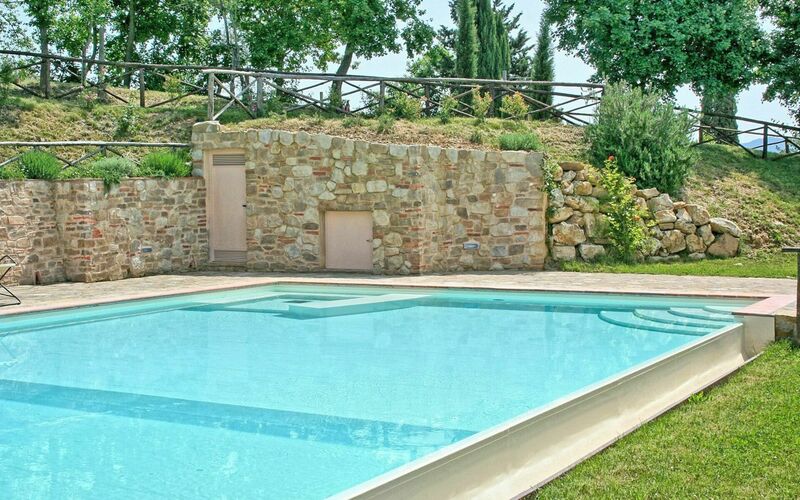 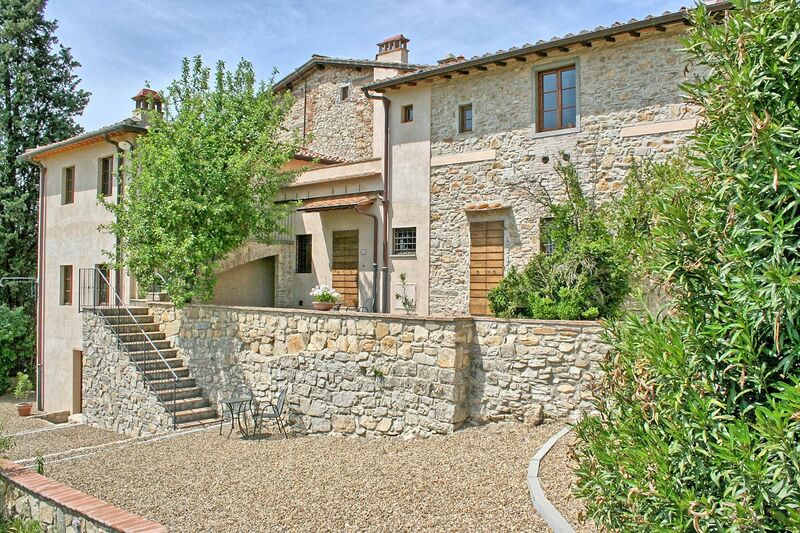 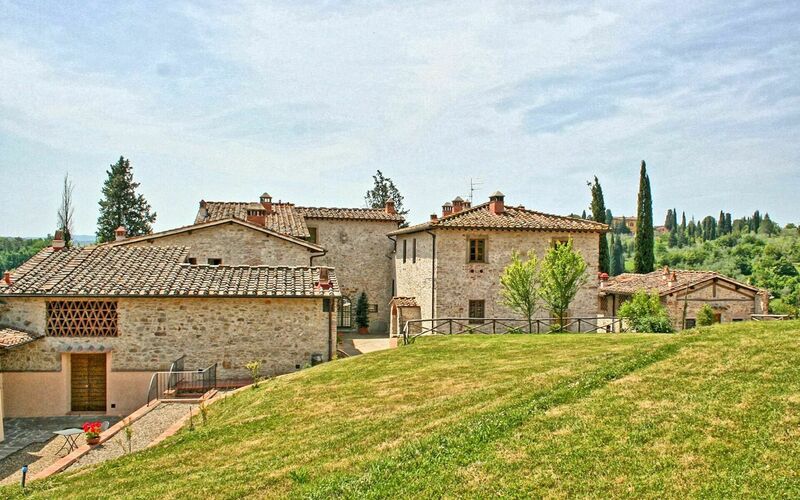 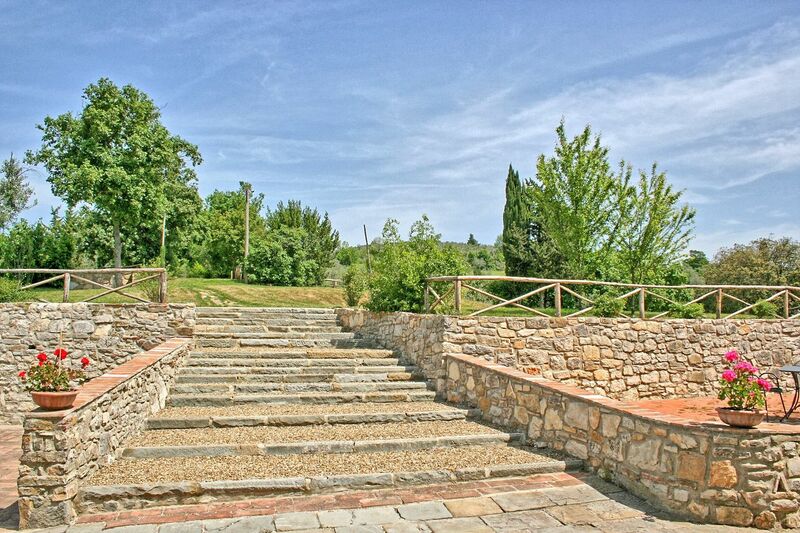 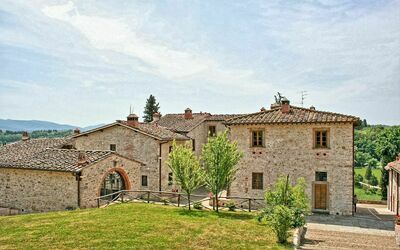 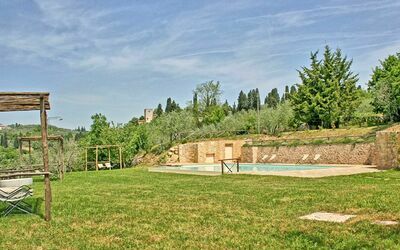 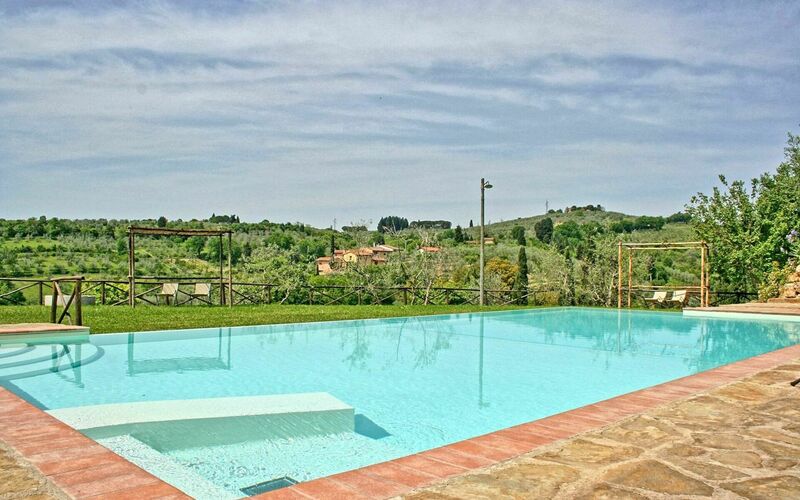 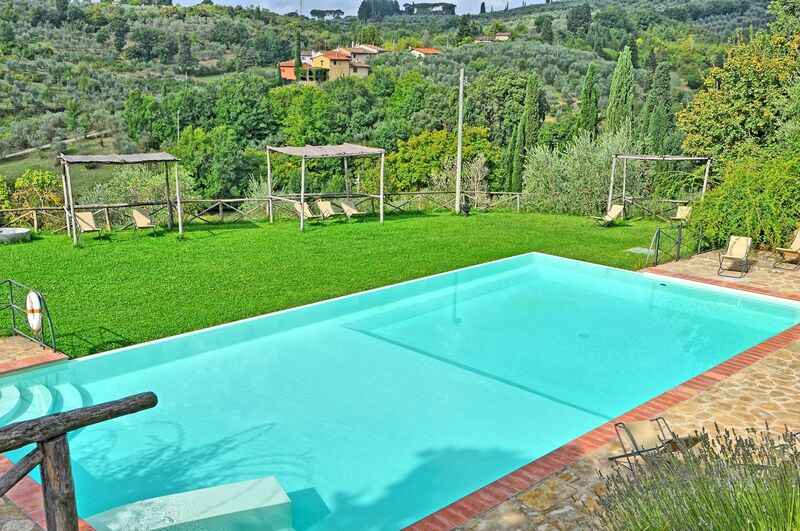 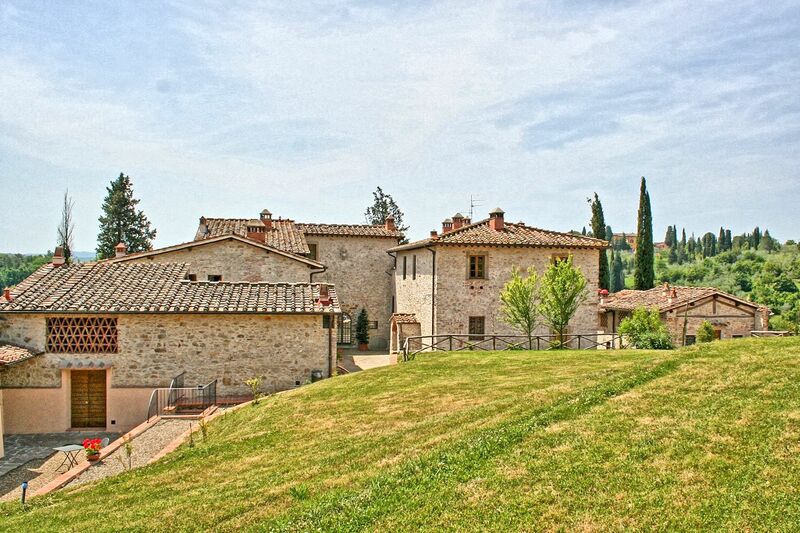 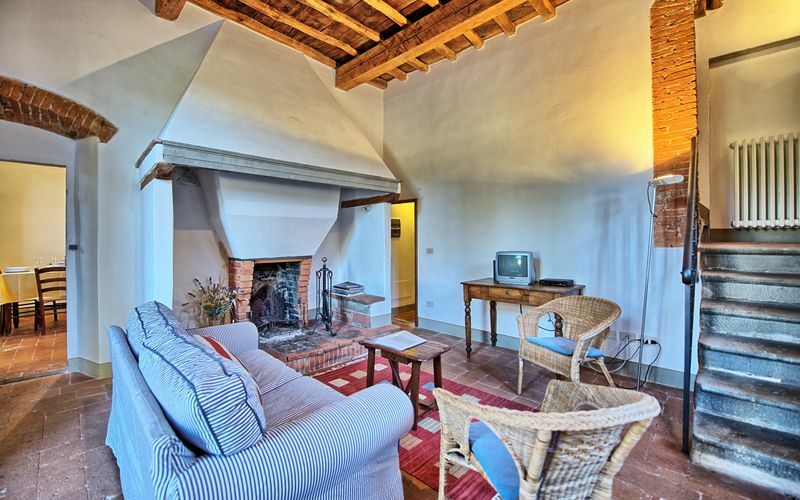 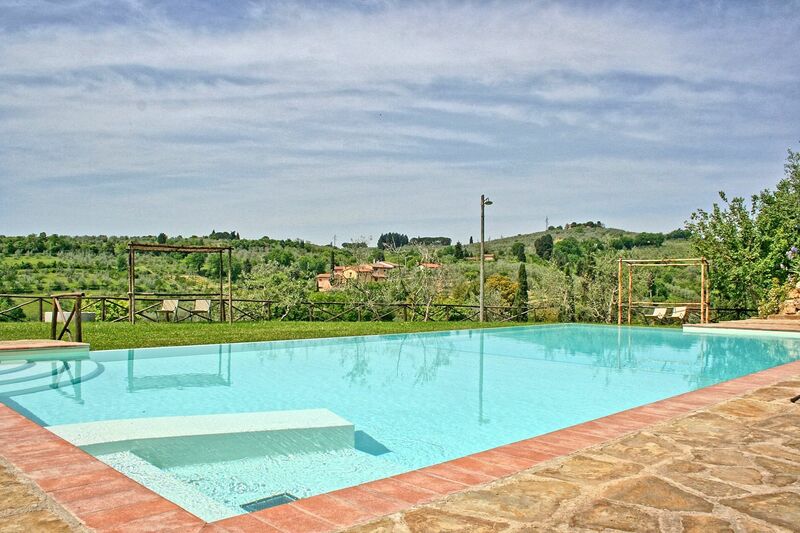 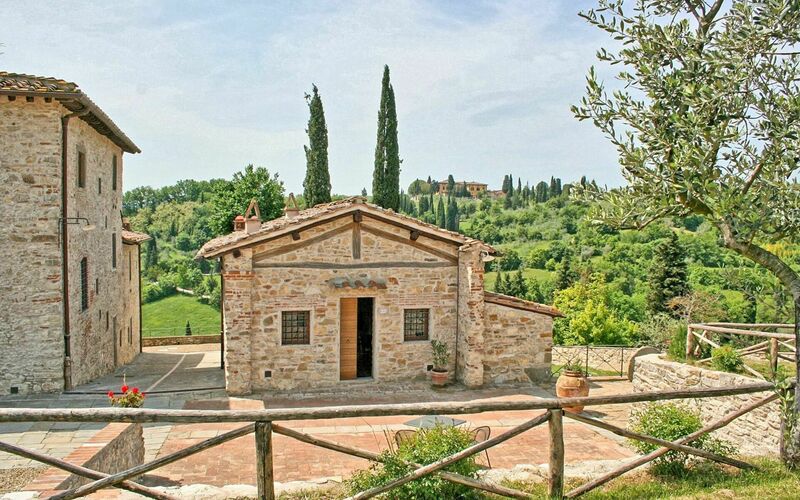 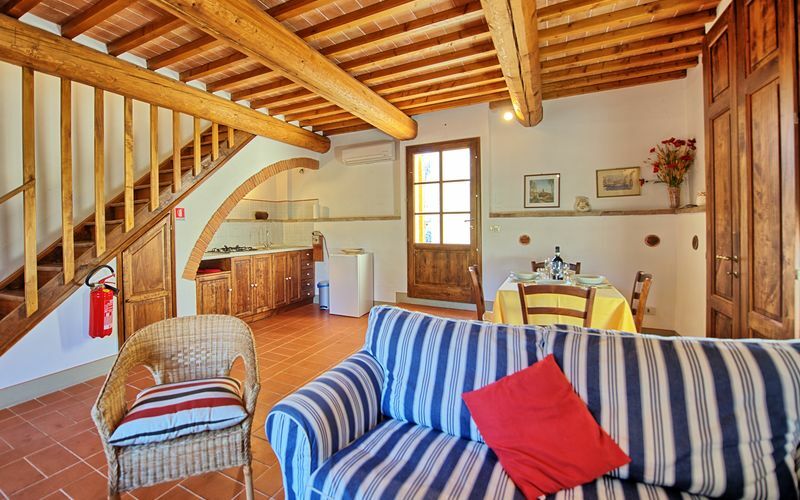 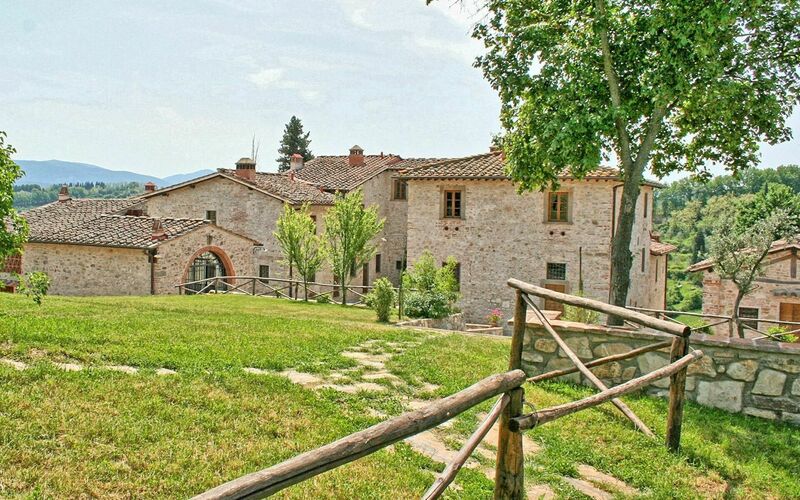 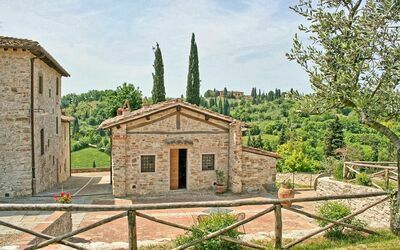 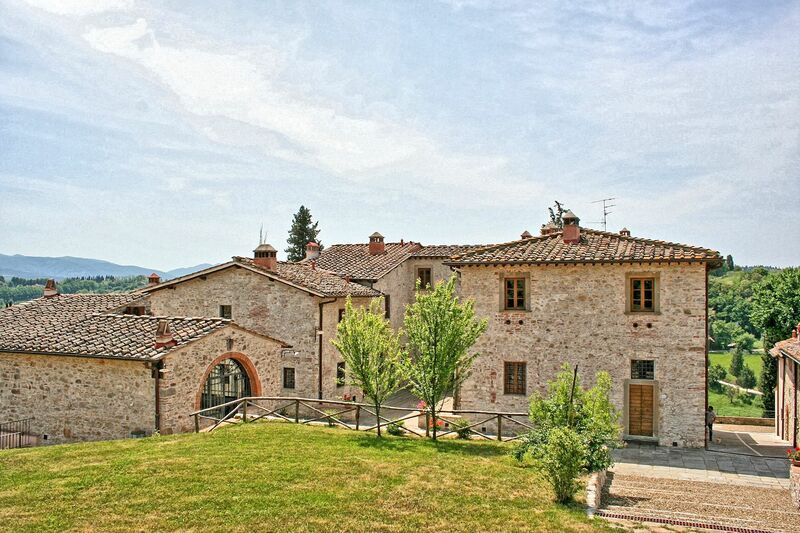 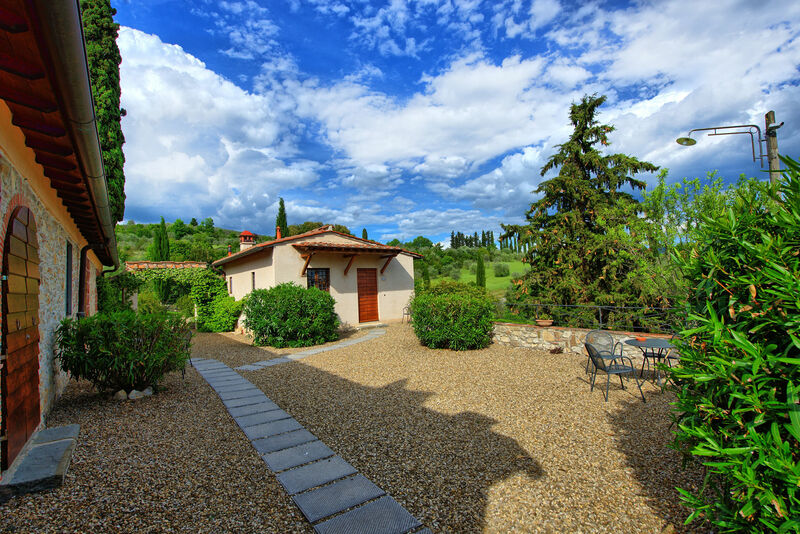 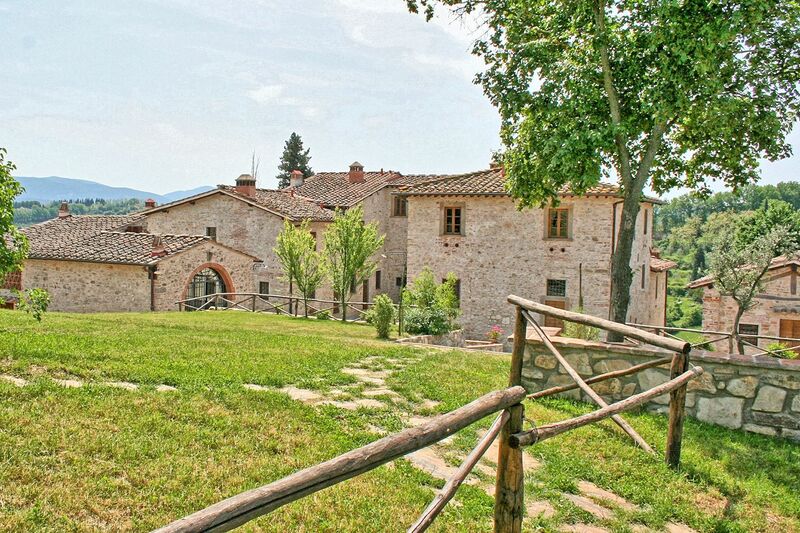 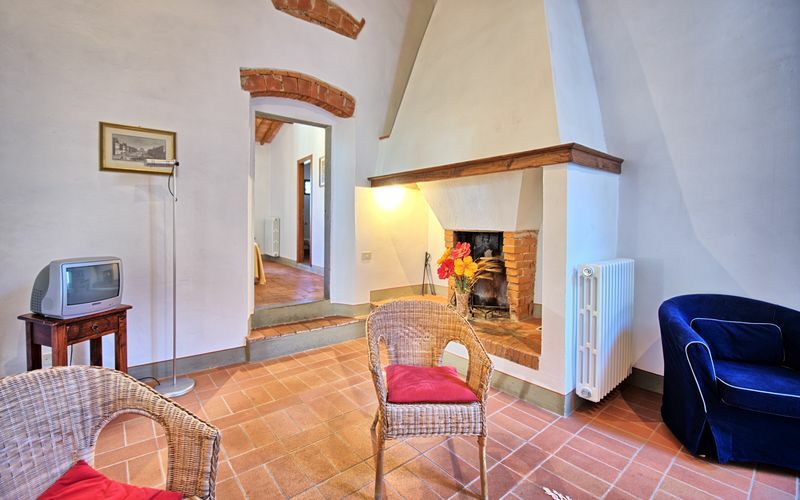 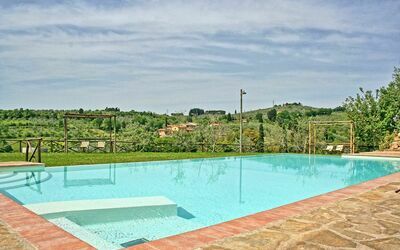 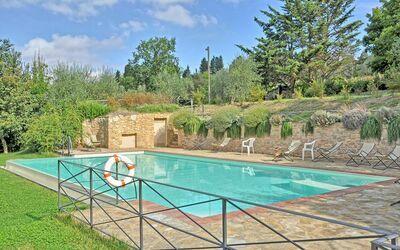 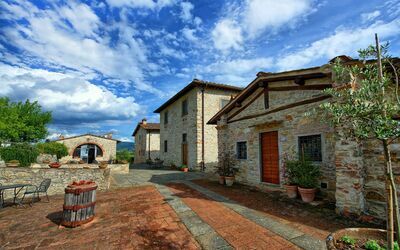 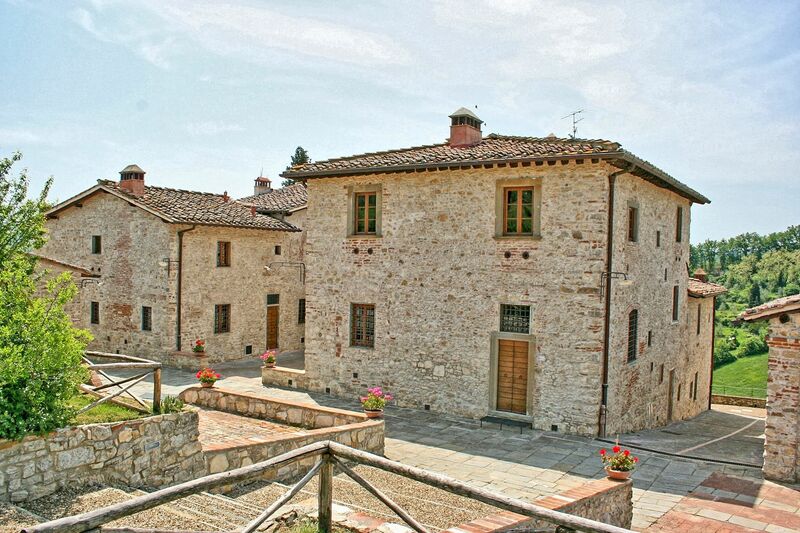 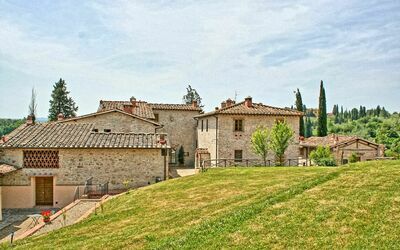 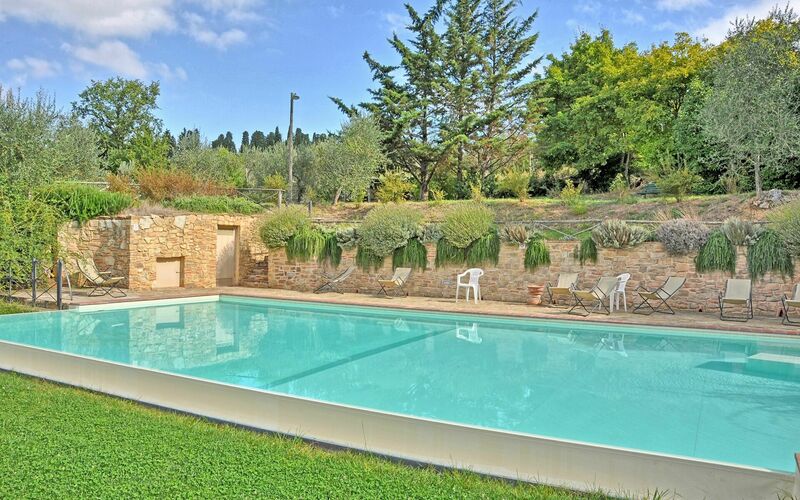 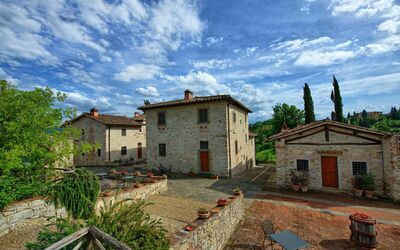 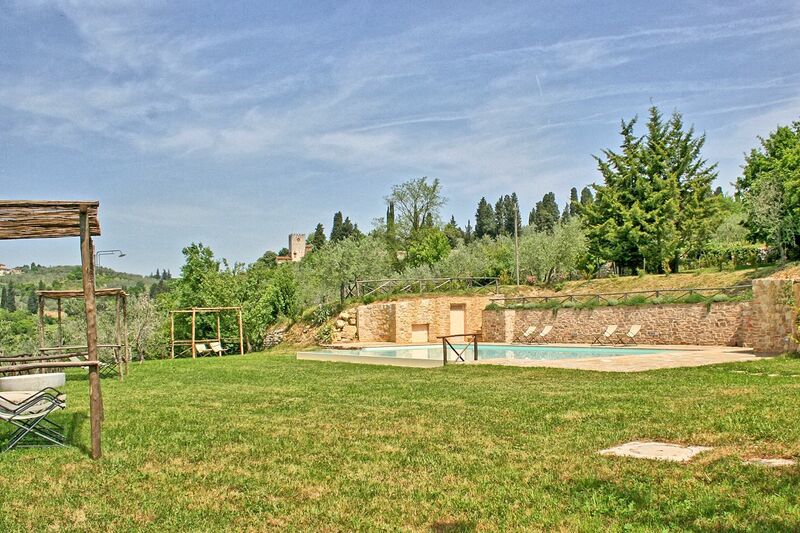 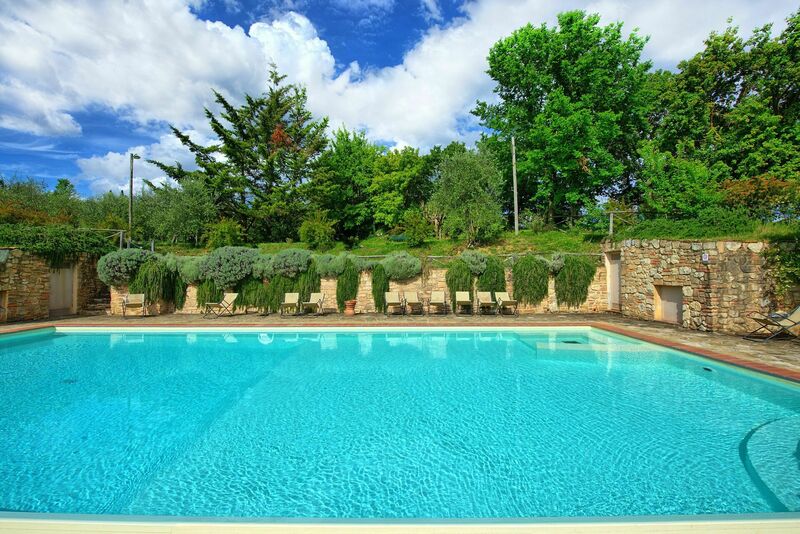 Ancient hamlet dating back to the 16th century, situated on the hills surrounding Florence, approx. 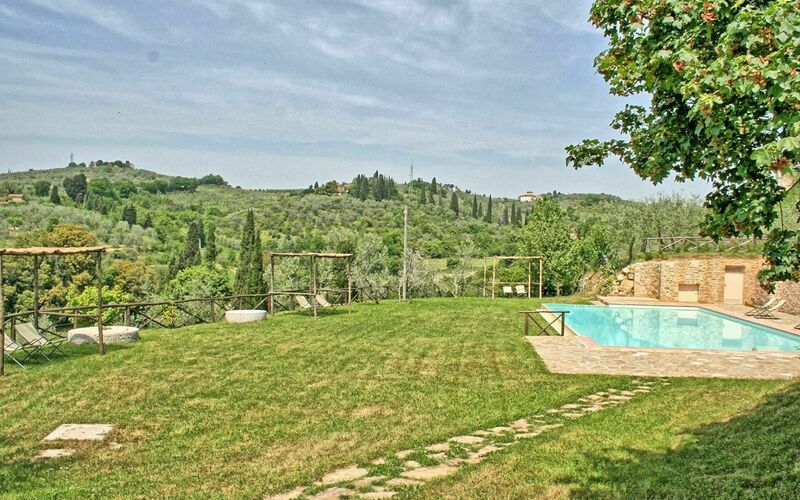 10 km away from the city centre. 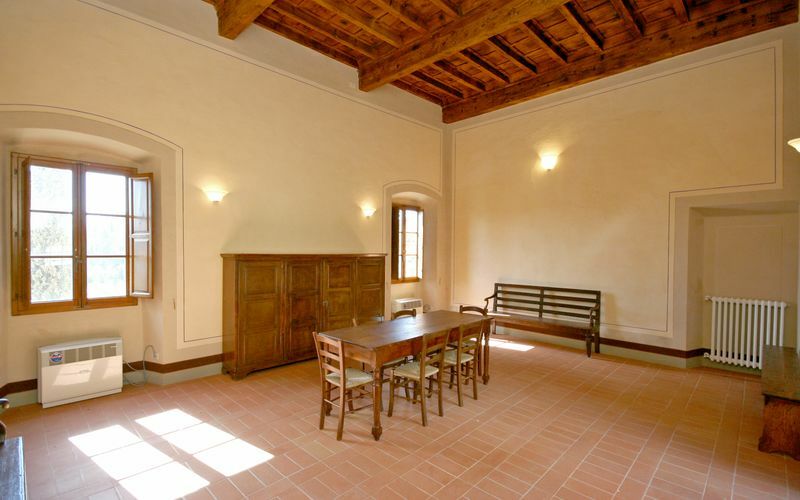 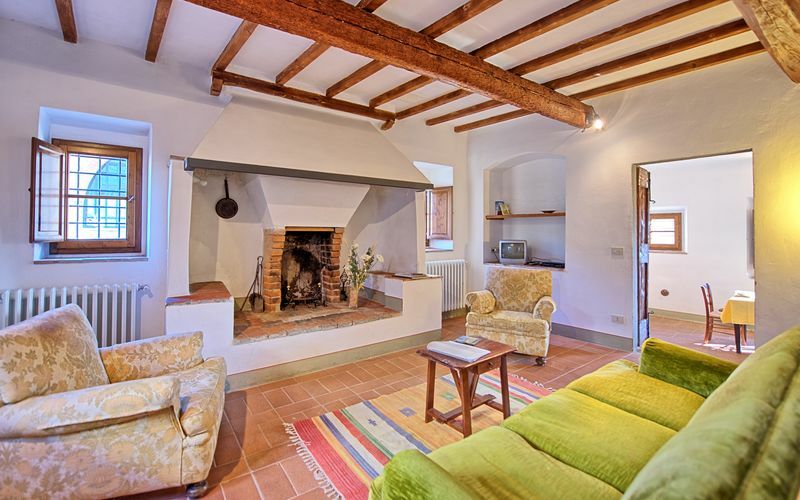 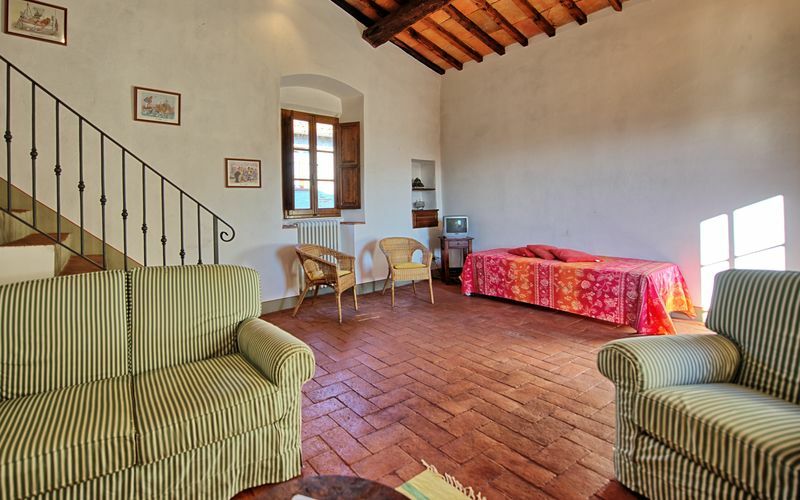 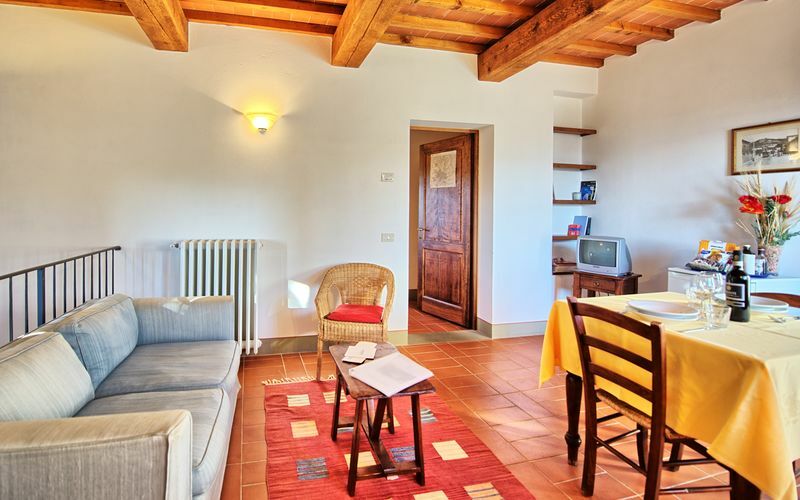 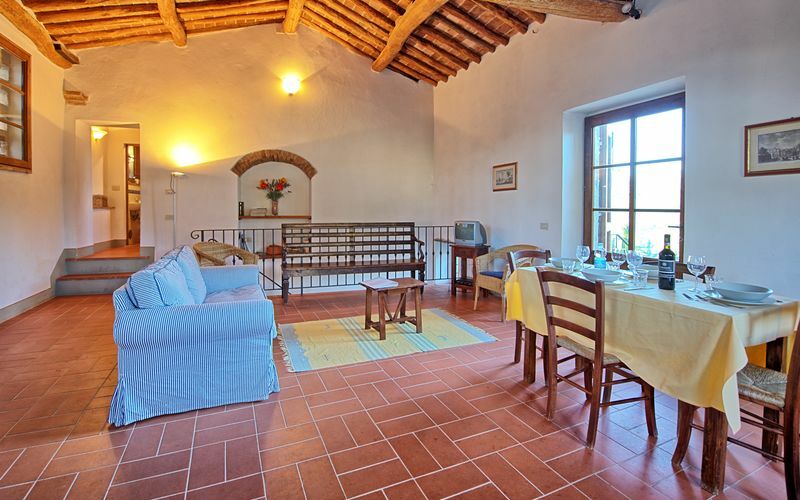 This property has been recently restore and turned into 15 comfortably apartments, all of which elegantly furnished. 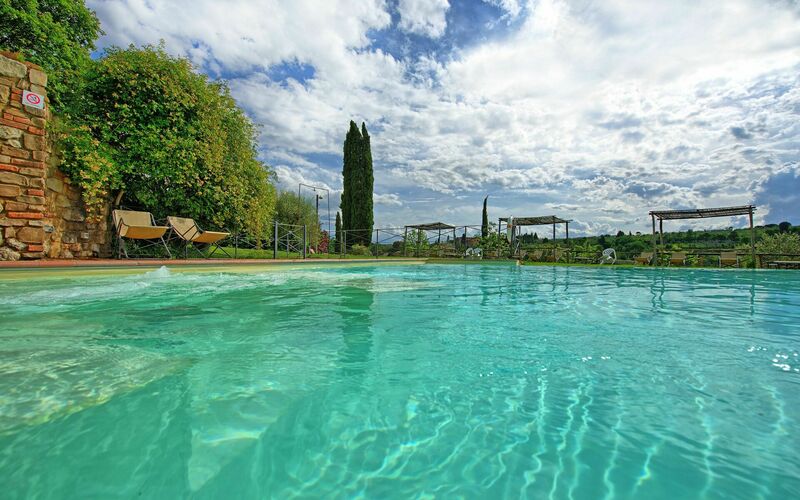 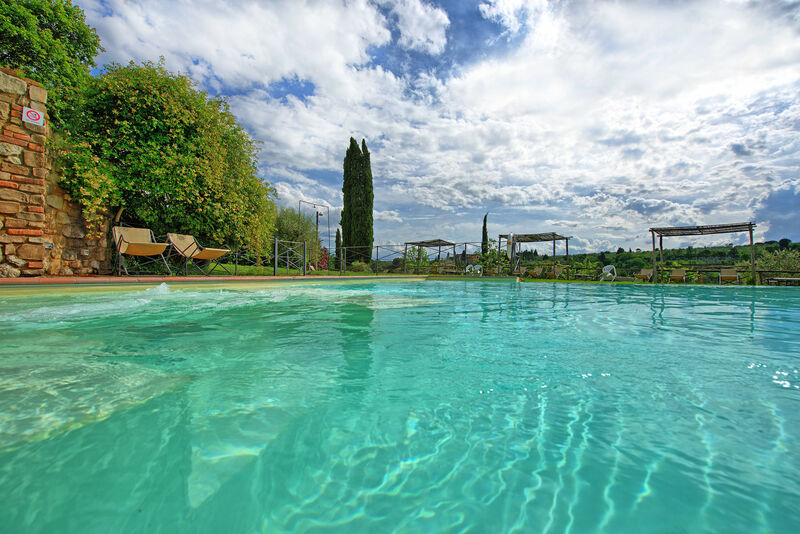 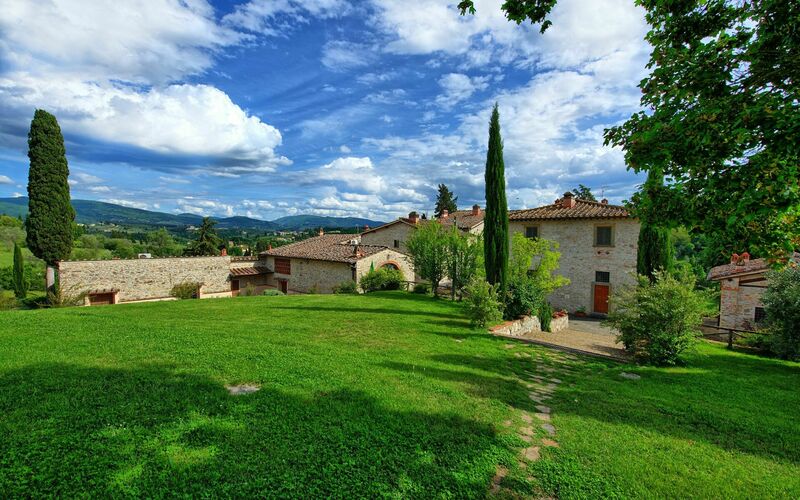 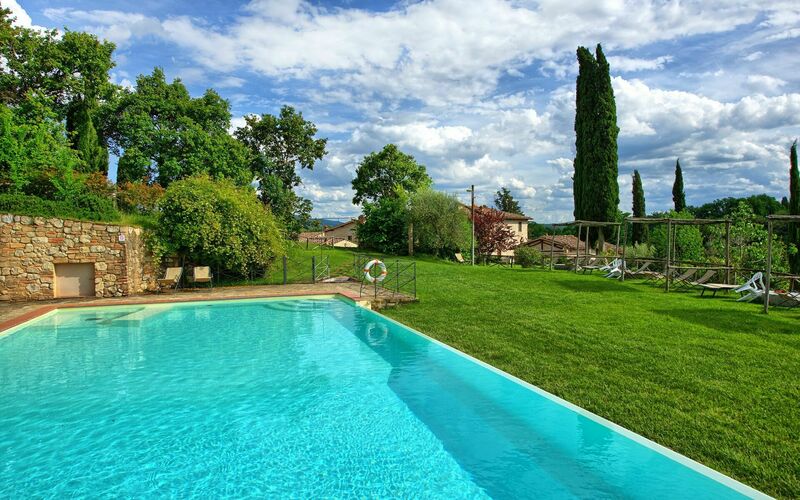 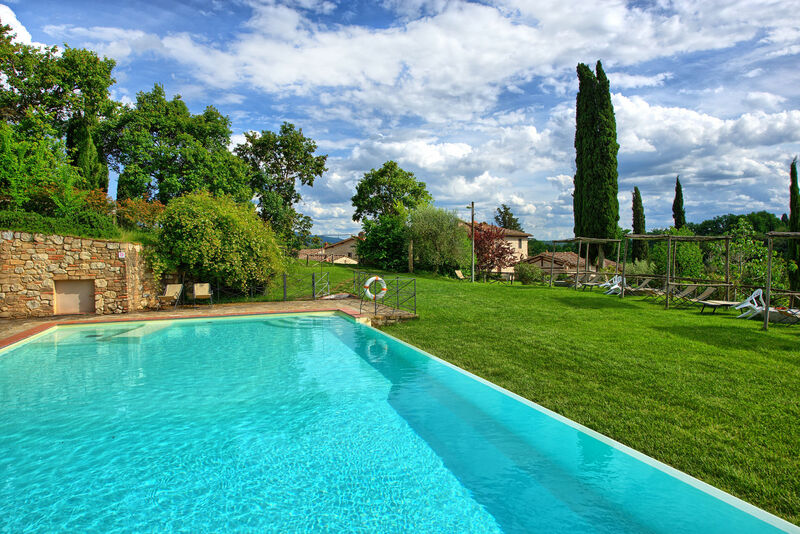 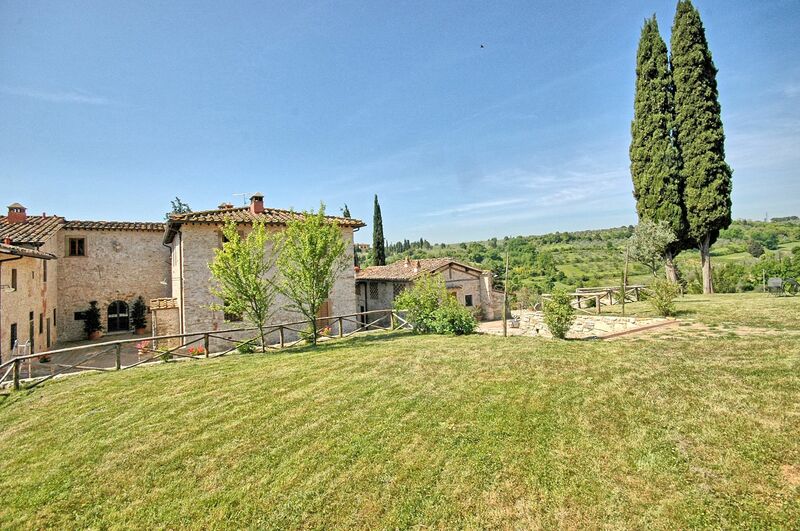 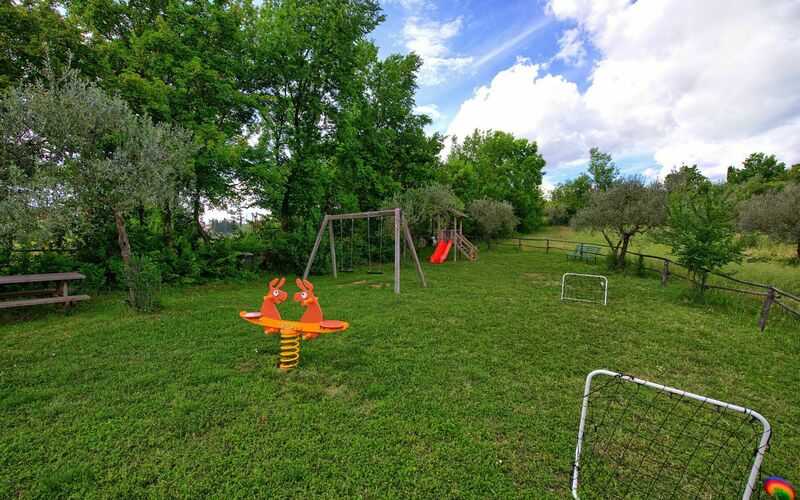 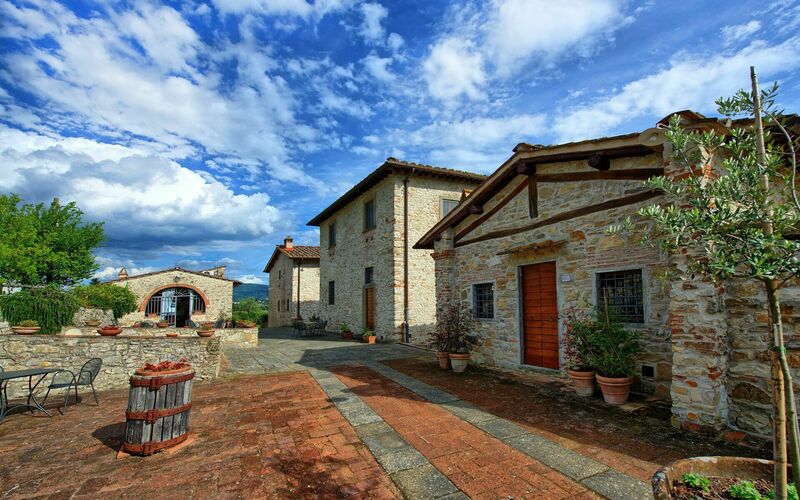 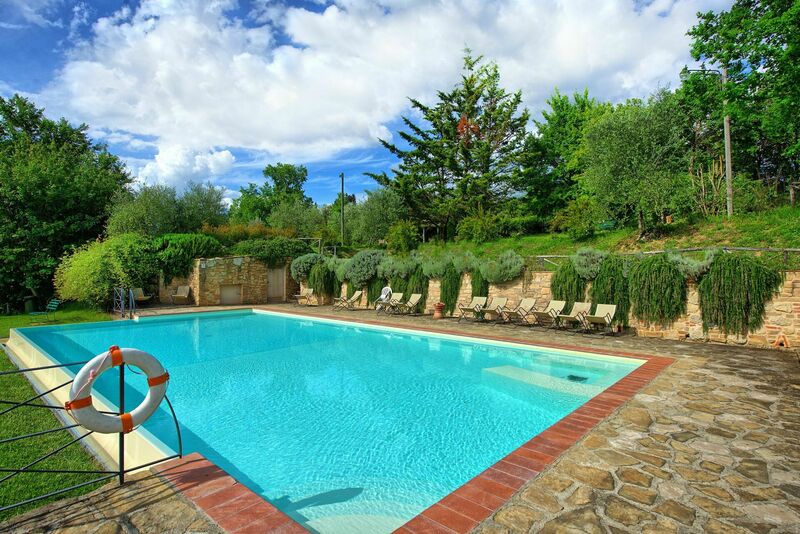 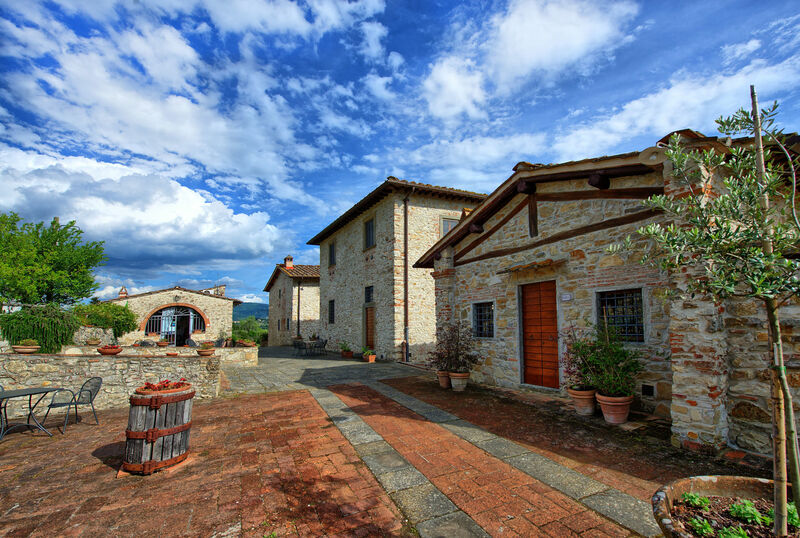 The hamlet is part of a 35-hectare estate rich in olive groves, vineyards and beautiful cypress-trees. 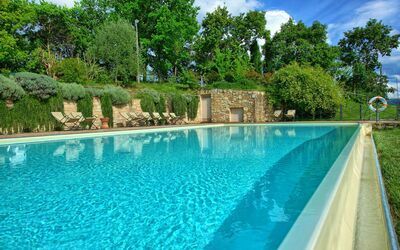 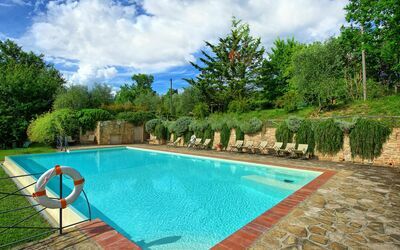 The original architectural features have been preserved and enriched with a charming panoramic swimming-pool with Jacuzzi area. 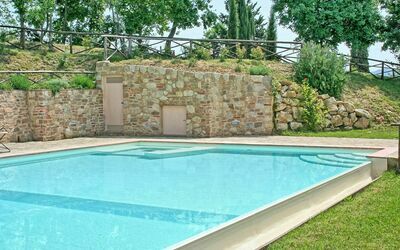 At guests disposal: large furnished outdoor areas, shared swimming-pool (14 x 7 m – maximum depth 1,4 m – open from 01/05 to 30/09) with Jacuzzi area. 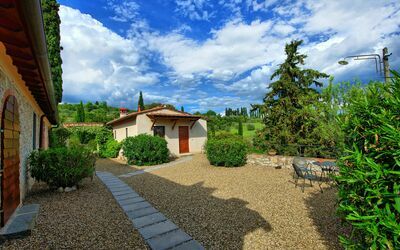 Internet wi-fi available (free wi-fi). 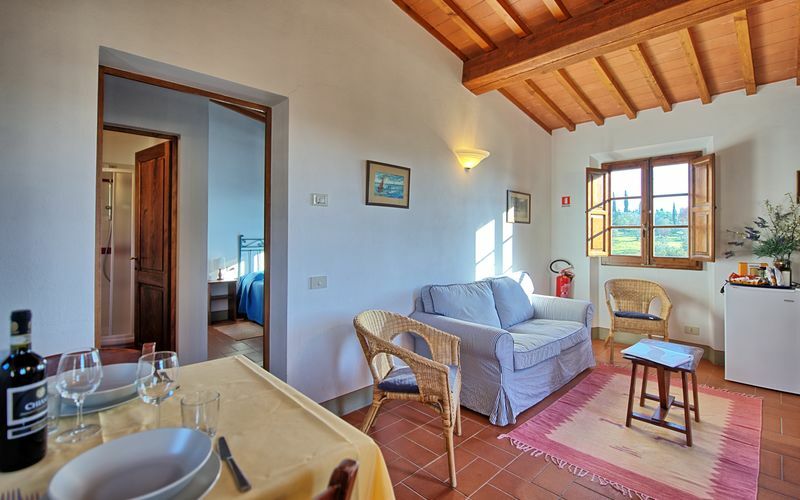 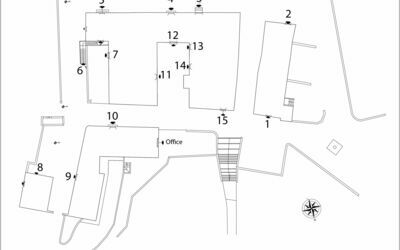 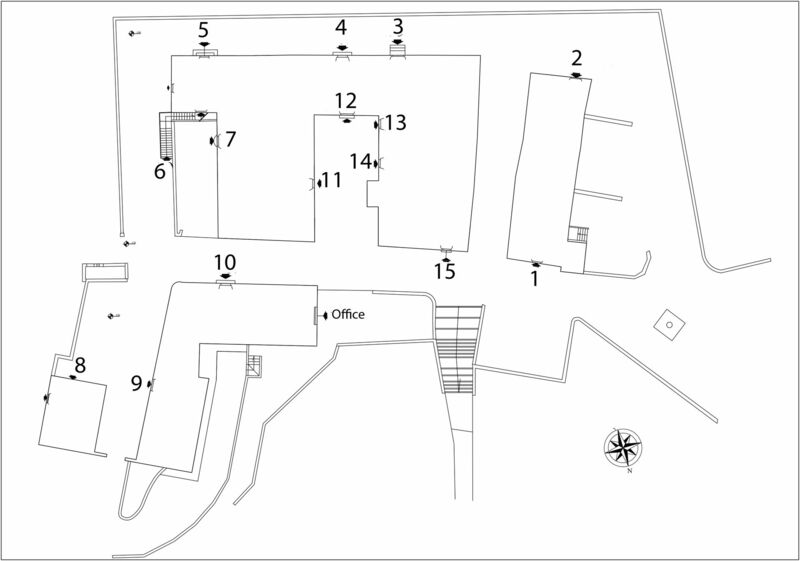 Extra services to be paid on the spot: Extra bed available on request (€ 15,- / per day) only in apartment Le Fonti 1, 4, 9, 10, 11, 12, 14, 15. 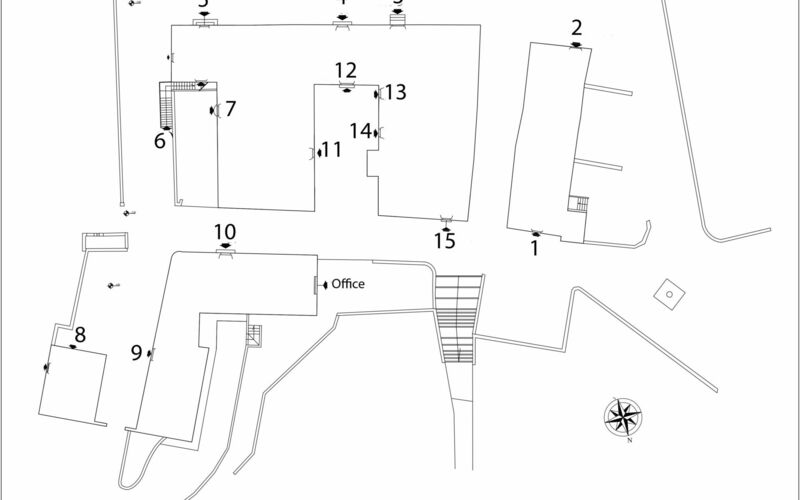 Crib for children from 0 to 2 years (free of charge). 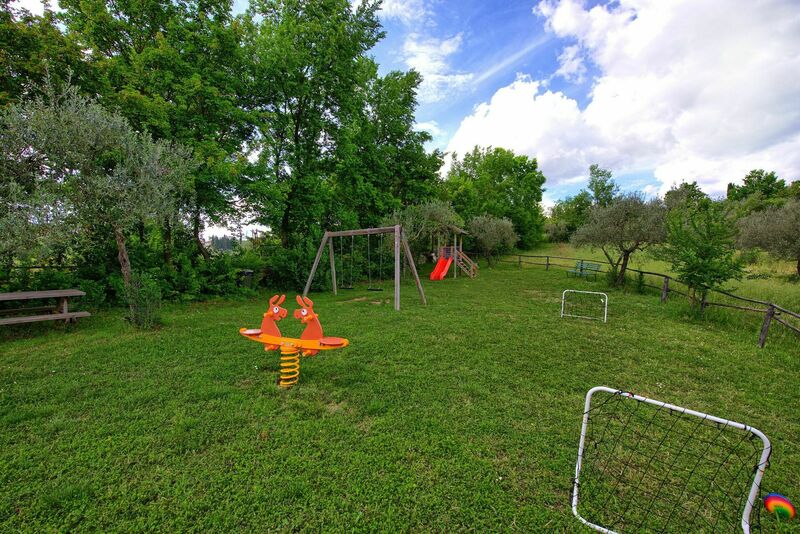 Baby bed for children from 2 to 6 years (€ 35,- / per week). 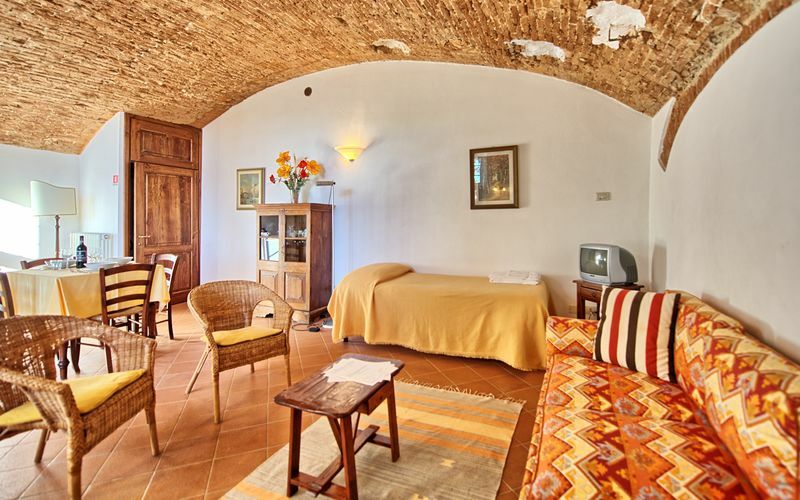 Maid service available by arrangement (€ 12,- / per hour). 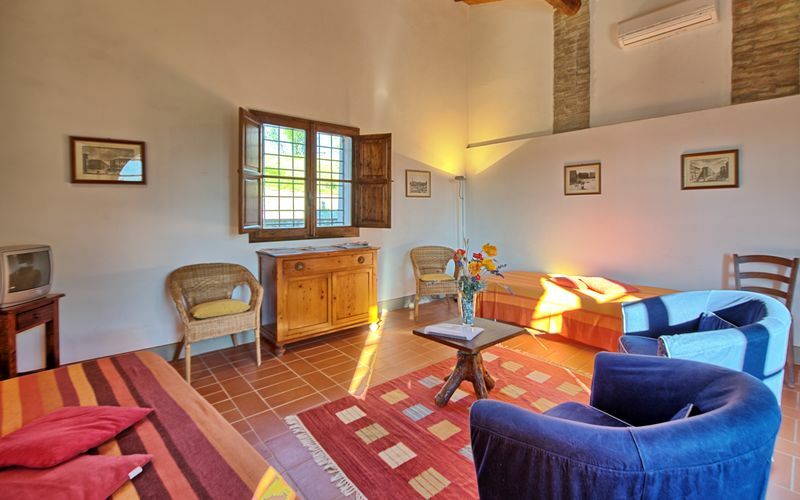 Shared washing machine (€ 5,- / per washing). 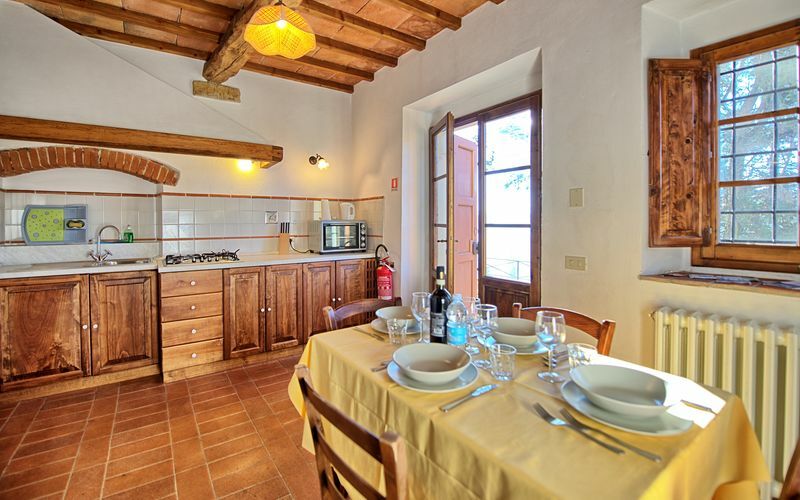 Bikes for rent (€ 8,- / per day).